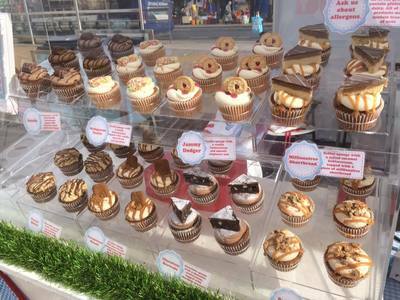 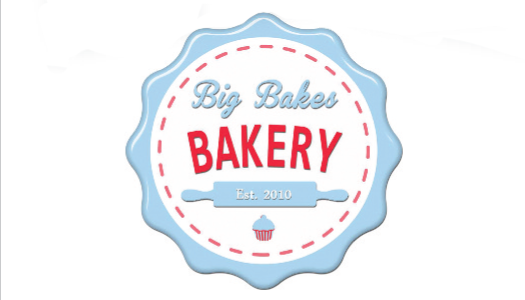 Big Bakes Bakery is the home of delicious cakes, brownies, biscuits and treats all handmade in Devon. 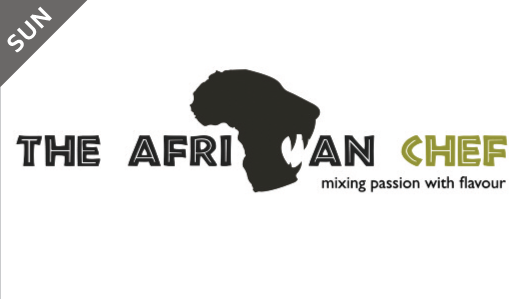 Our aim is to bake the best products you've ever tasted! 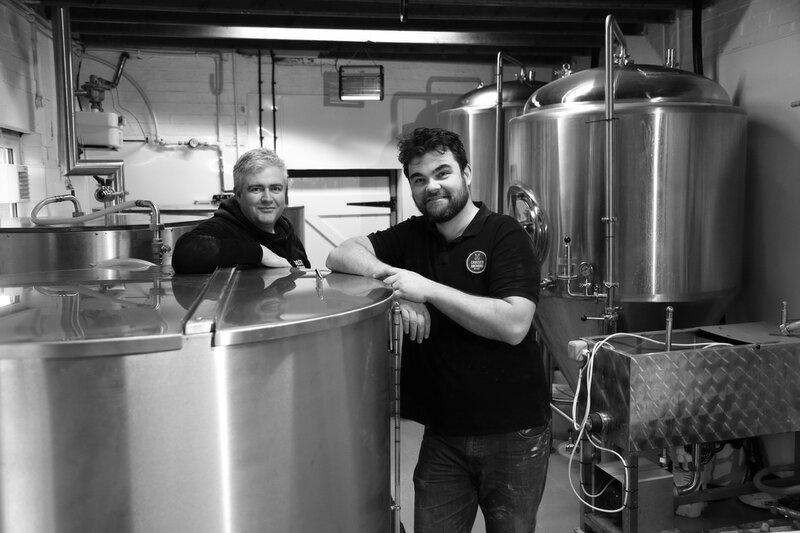 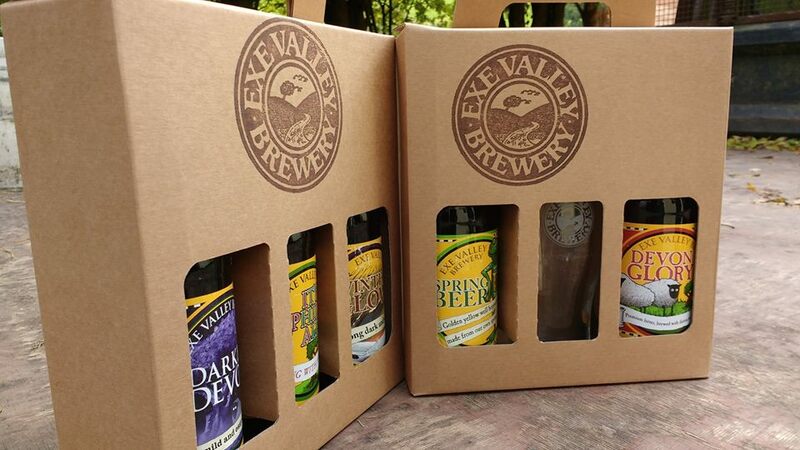 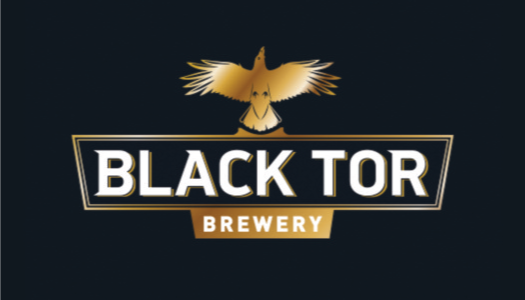 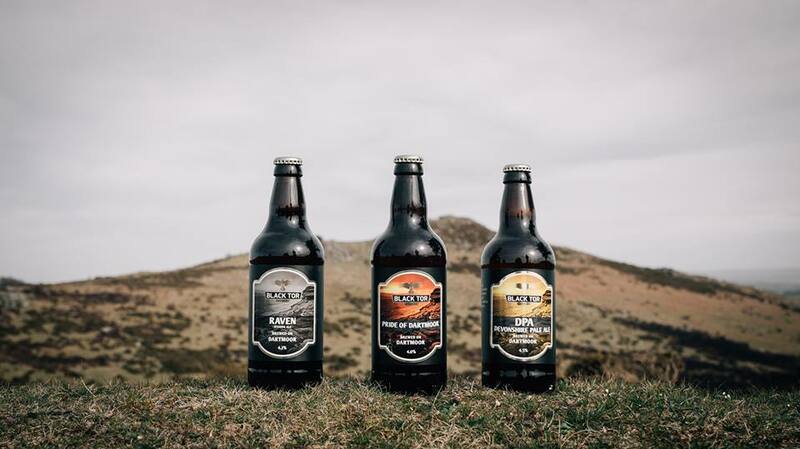 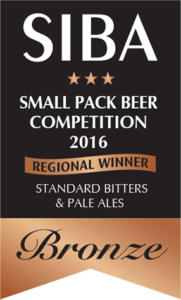 Award winning family-owned brewery located in Dartmoor National Park, handcrafting flavoursome cask conditioned and bottled ales. 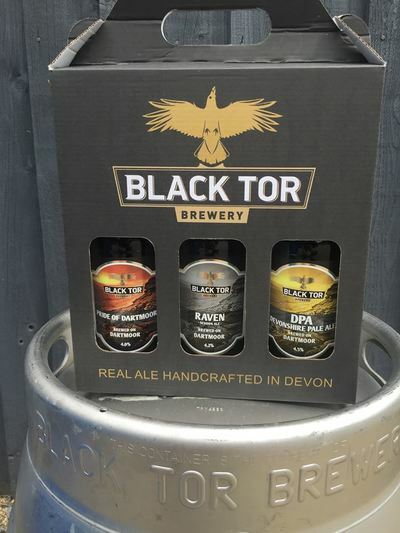 Head brewer Jonathon lives in Budleigh Salterton and will be serving pints at the event as well as bottles and gift packs to take home. 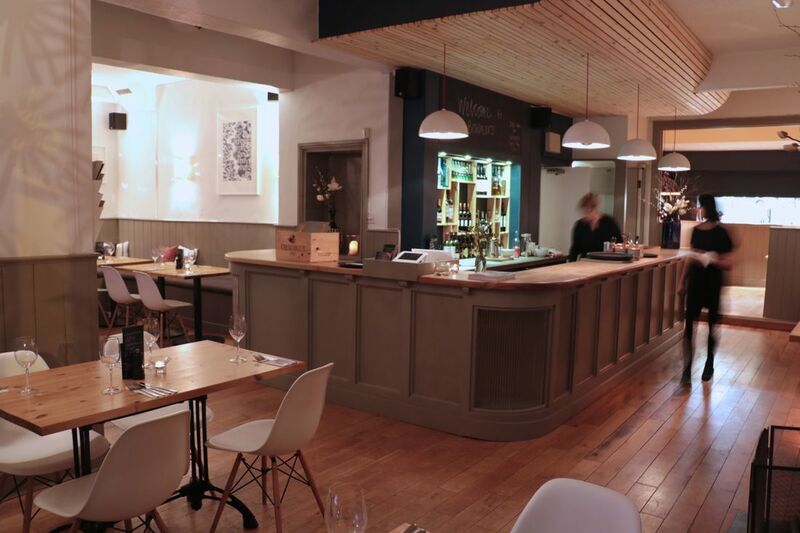 We would love you to come and see us at the Bowmers Restaurant stand. Meet some of our team and sign up to Bowmers Foodie Club. Wine tastings, demonstrations, foodie visits and special nights for club members. 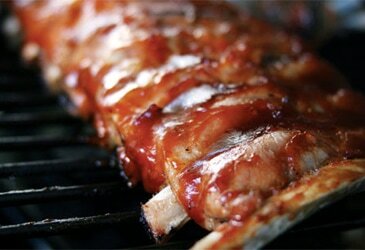 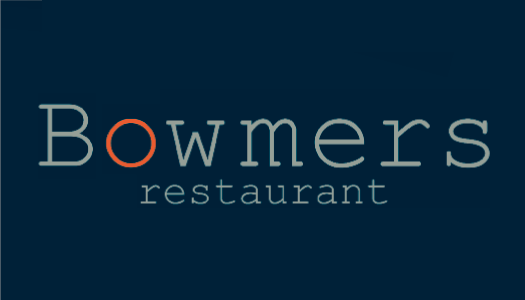 Sign up this weekend for a chance to win dinner for two at Bowmers! Budleigh Salterton Dental Practice is a small and friendly private practice which has been established since 1960. We offer a warm welcome to all our patients and hope to make your visit as comfortable and relaxed as possible. 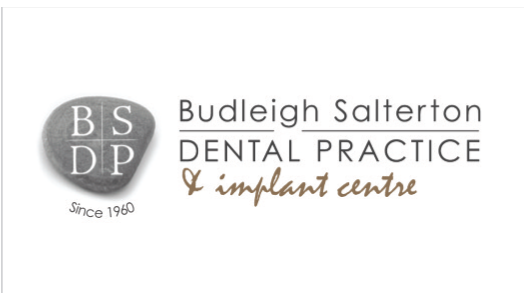 The practice has three surgeries with a choice of Clinicians to suit your individual needs. 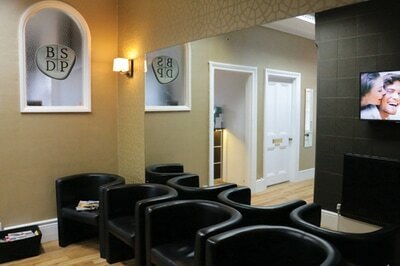 We also provide direct access to a Dental Hygienist. Come along and see us at our stand in the Living and Lifestyle marquee on the Green! 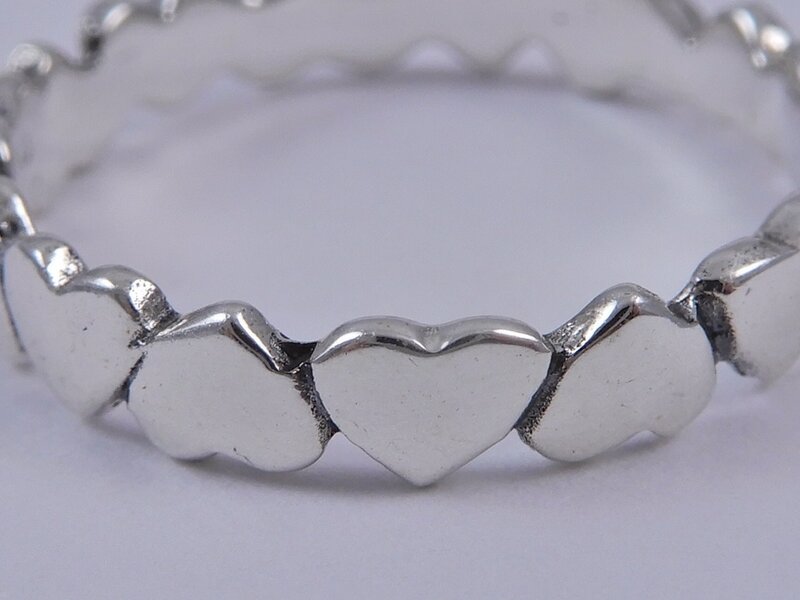 A fun and factual talk about how your mouth is the window to your well-being. 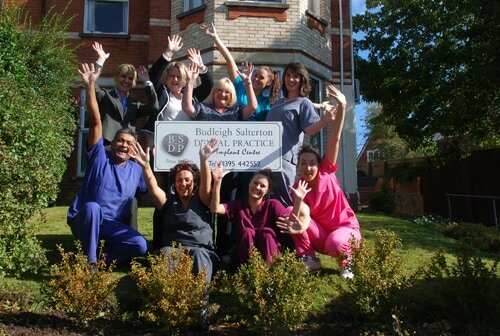 Top 10-tips on oral health and a few myth-busters should give you something to smile about! 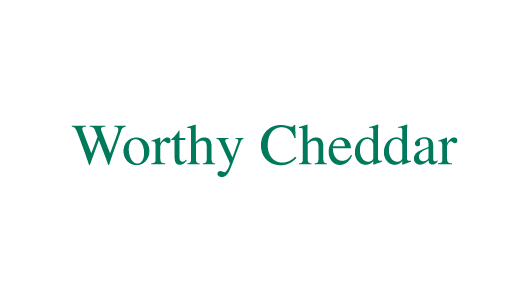 Q&As will follow. 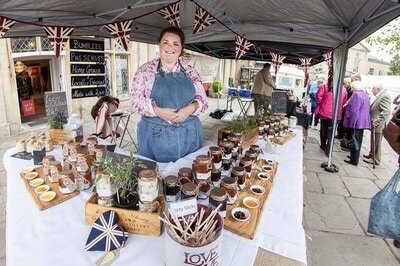 Traditional preserves; jam, chutney, marmalade, pickles all created using home grown & locally sourced produce. 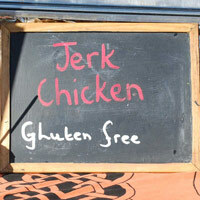 Recipes handed down the generations with some modern twists too. 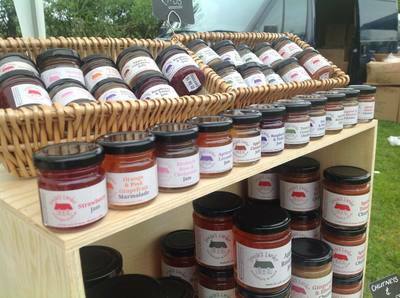 So whether it's Strawberry or Raspberry & Prosecco Jam, Seville or Gin & Tonic Marmalade there is something for everyone. 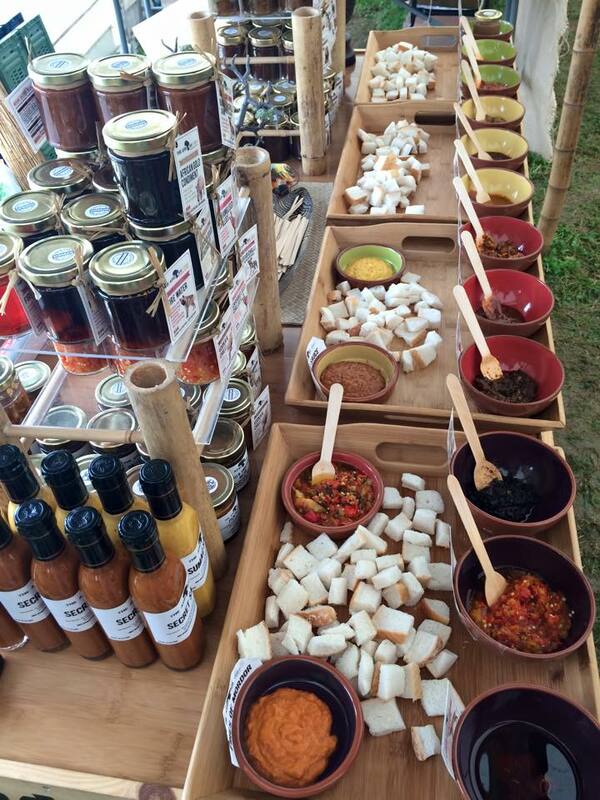 Even Chilli Sauces & Preserves from our The Chillees range too, made using only our own grown Chillies. 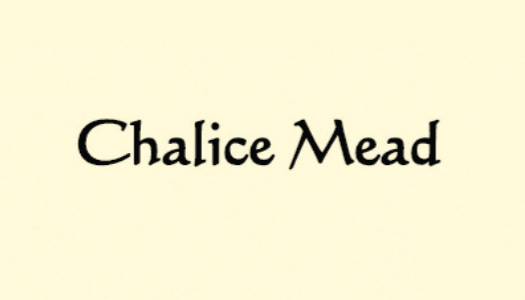 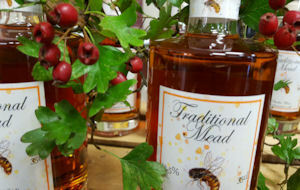 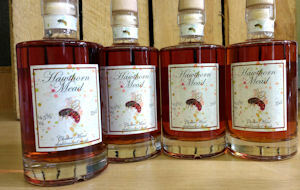 Home-made deliciously tasting Traditional golden Mead decanted in beautiful decadent bottles which have uniquely hand-designed labels. 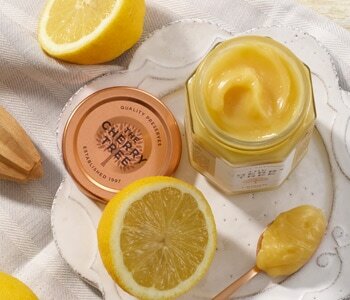 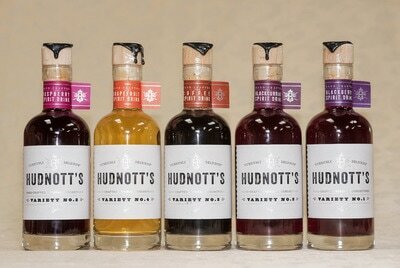 Hand-blended and carefully infused with a variety of natural ingredients to create wonderful flavours such as Divine Chocolate; heart-warming Chilli and Chilli with a sting for the brave-hearted; also natural Hawthorn, gorgeous Elderflower and Nettle; smooth Orange and warm Ginger to name but a few. 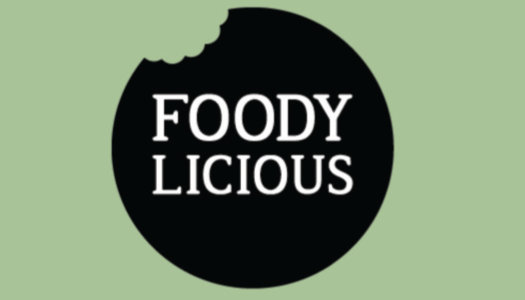 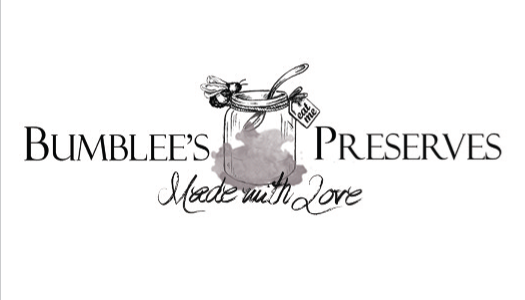 Award winning jams, curds, chutneys and pickles, hand made locally in small batches using only the finest ingredients. 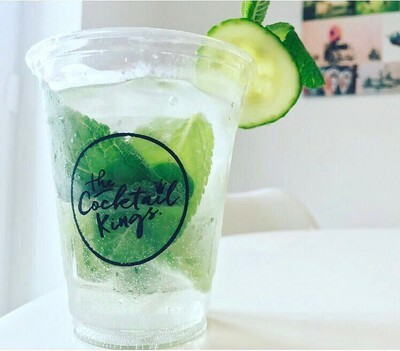 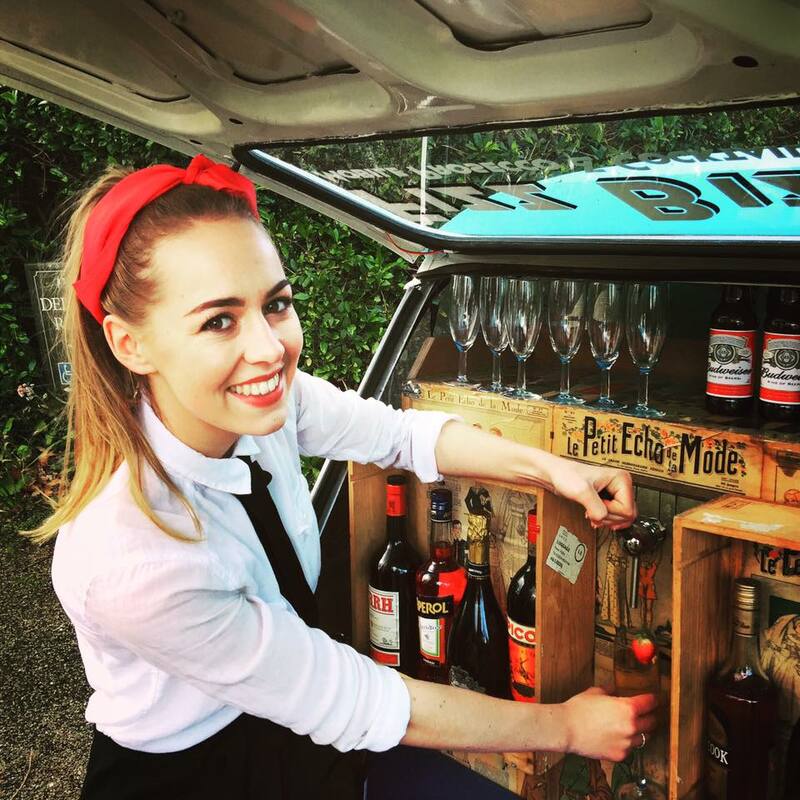 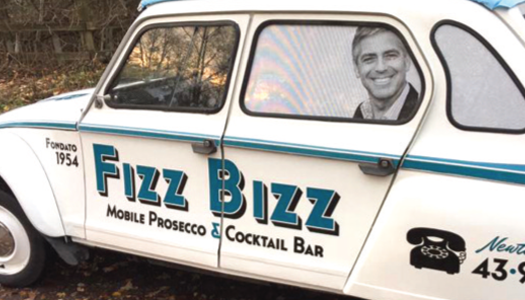 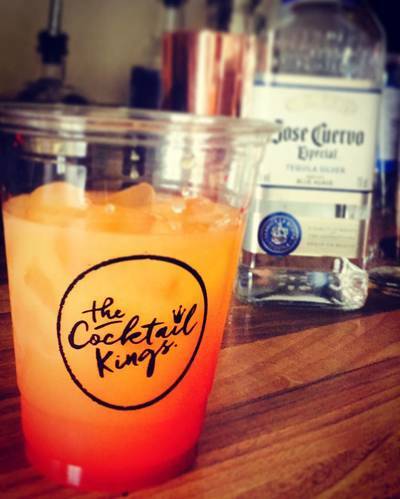 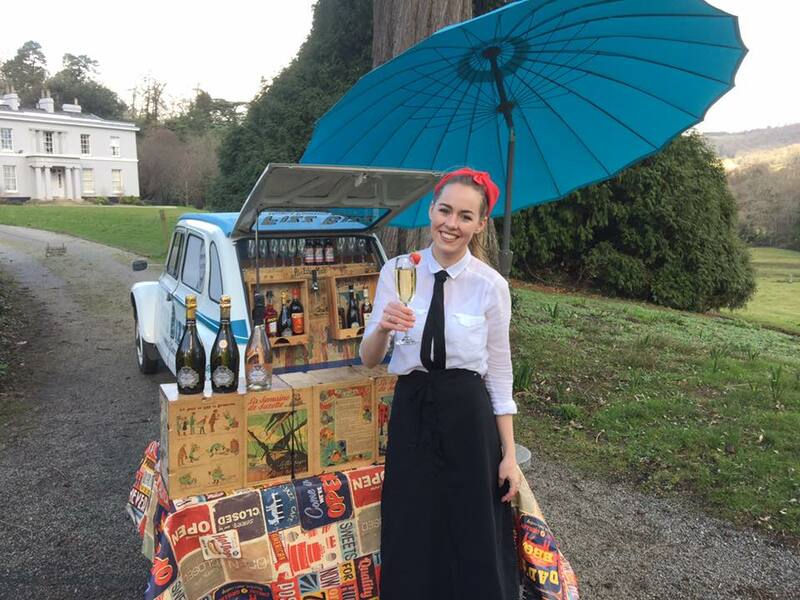 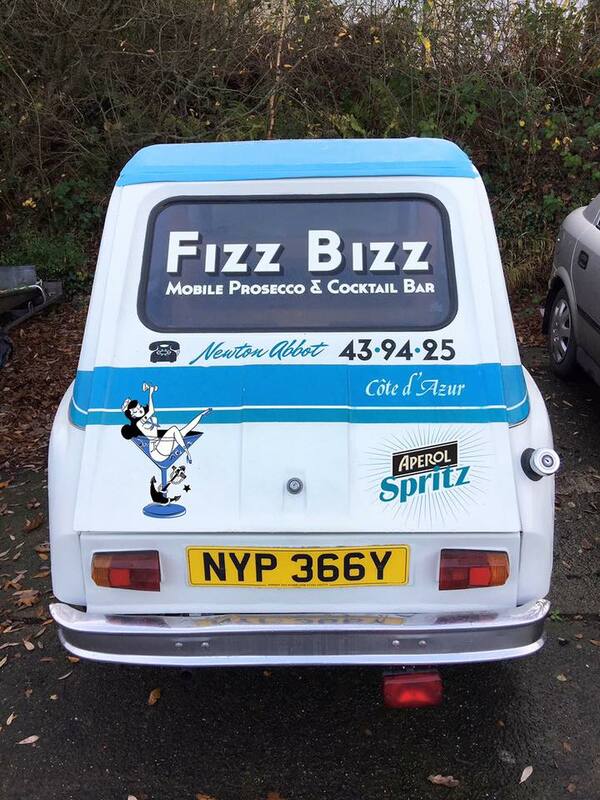 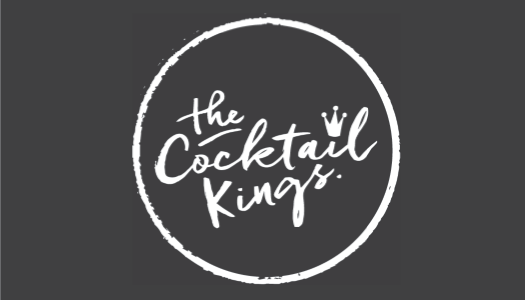 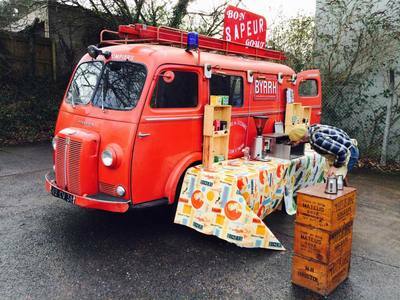 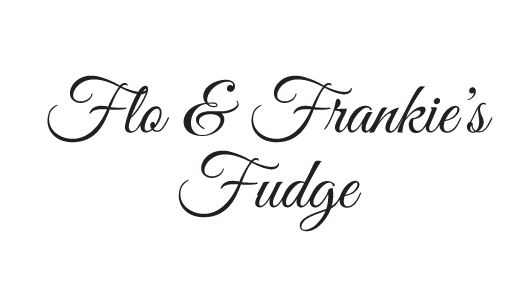 We will provide you with a unique experience, serving delicious freshly shaken cocktails from our recently converted vintage 1978 VW camper van. 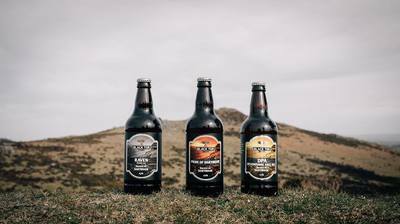 As well as cocktails, we'll provide prosecco and local beer from the amazing Red Rock Brewery. 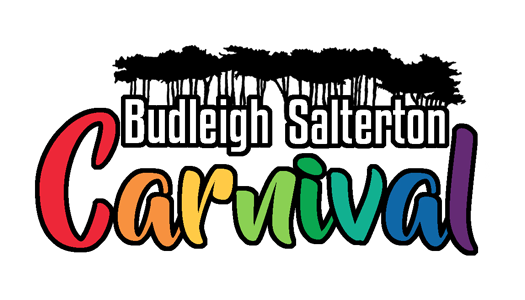 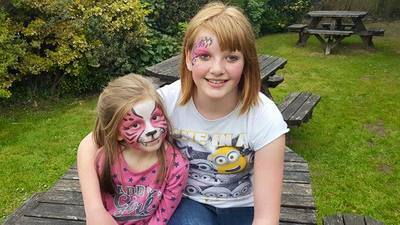 Budleigh Carnival Club join us for some foodie fun and games! 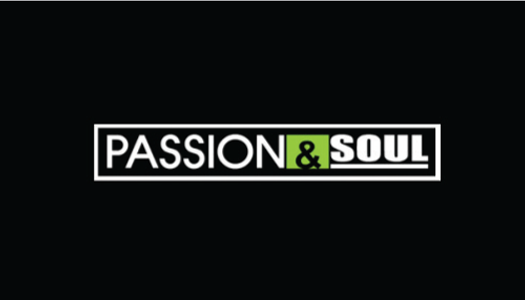 ​Find them on The Green on Saturday! 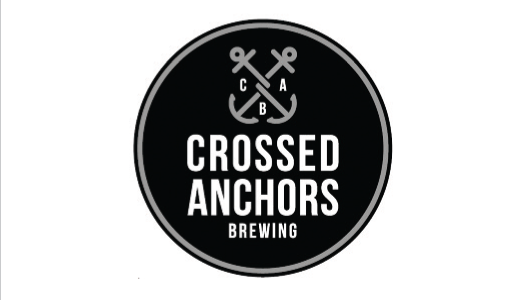 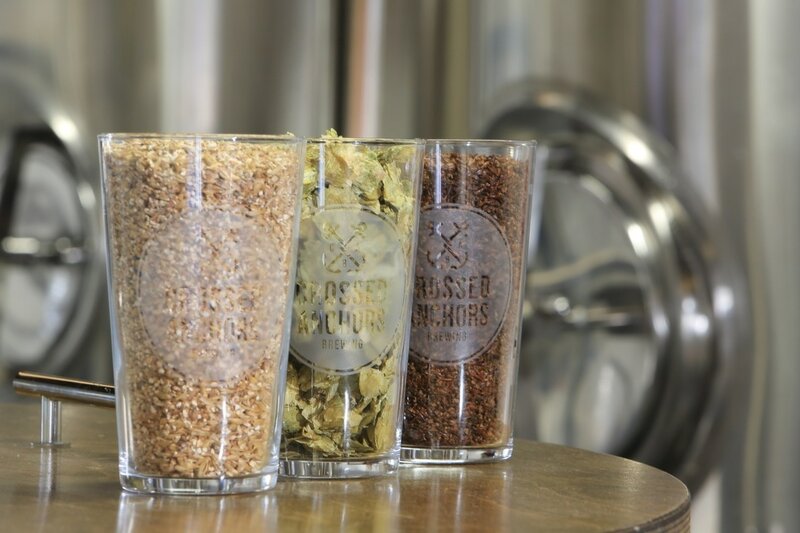 Crossed Anchors are an Exmouth based brewery, using Devon malted barley and hops from the UK and USA. 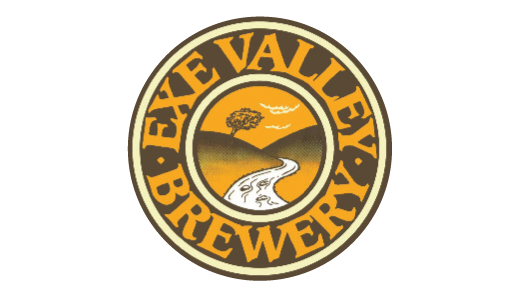 They produce 1000 litres per brew and supply pubs and restaurants in East Devon and further afield. 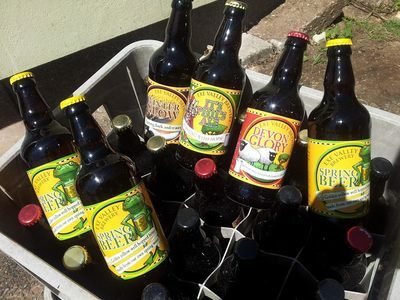 Set up in part via crowd funding, they have an engaged local community and huge support for their great tasting beers. 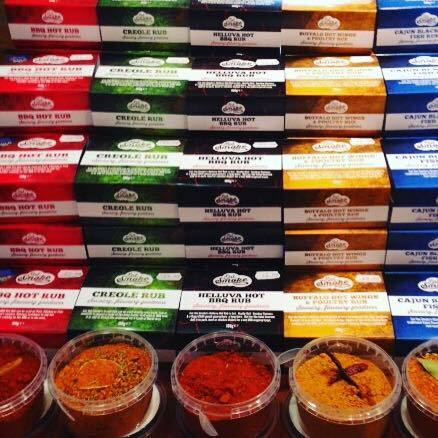 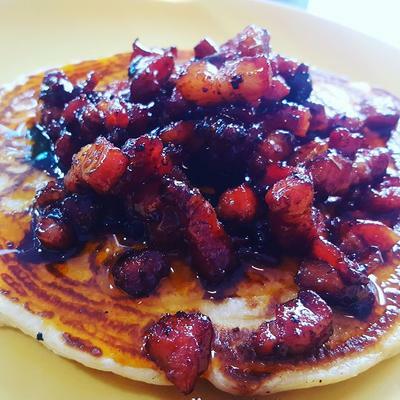 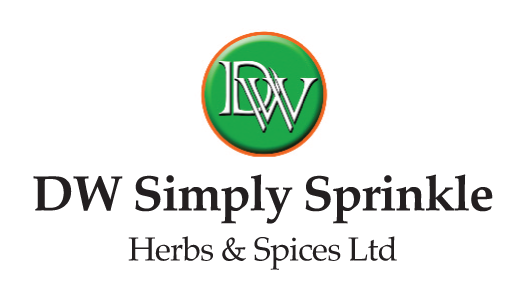 DW Simply Sprinkle are Unique blends of dried Herbs & Spices for all aspects of cooking, contain No Added Salt or Sugar, No wheat flour, No preservatives, No colourings, No additives just pure unadulterated flavour for ALL aspects of cooking and dips. 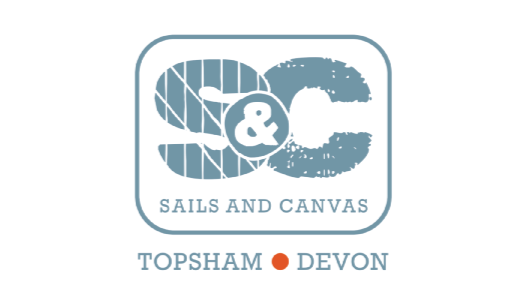 Bold and beautiful giftware and home furnishings to bring the beauty of the Devon coast and countryside into the home. 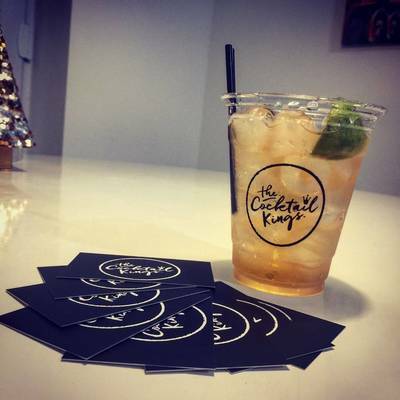 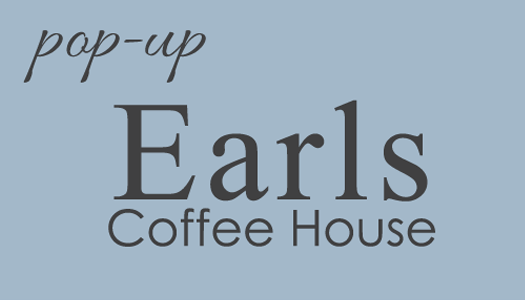 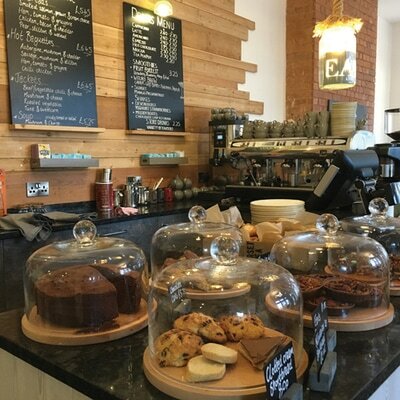 ​Earls Coffee House opened on July 26th 2016 in the building formerly used as Natwest bank. 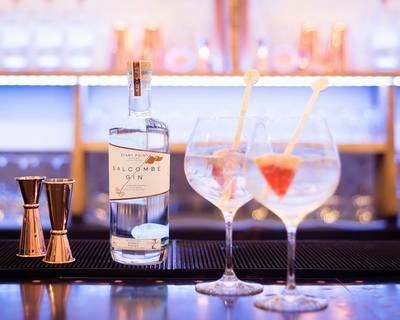 Earls was opened with an ethos in mind, we wanted to bring something different to Budleigh, a London style with a Devon vibe. 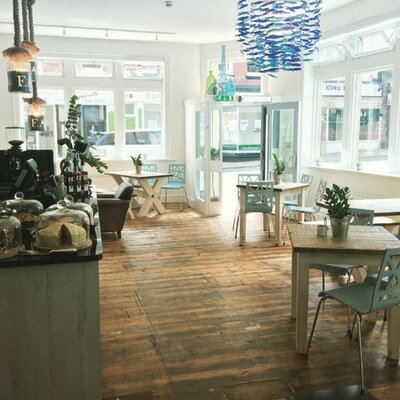 Somewhere for people of all ages, from all walks of life, to relax and enjoy others company in a friendly environment with good coffee and simple, but tasty food! 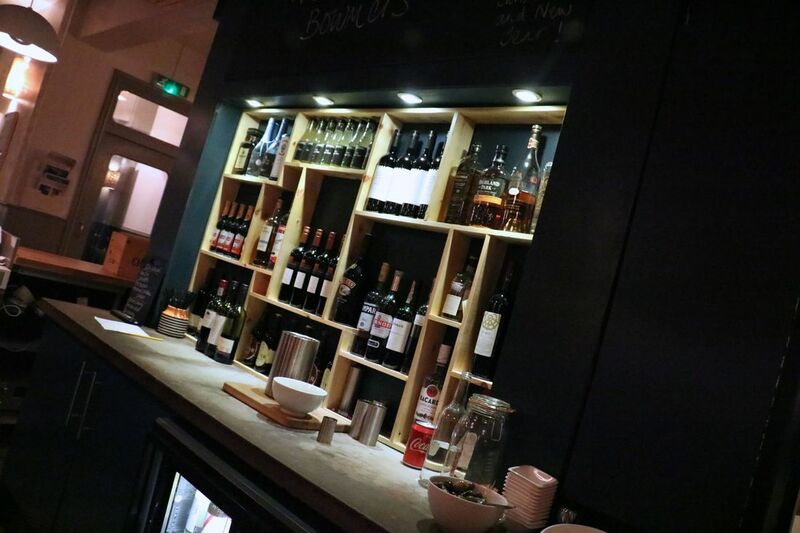 We pride ourselves on our unique atmosphere coupled with an overwhelming sense of inclusivity. 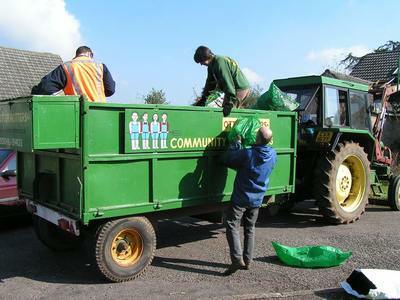 Another attribute, which is key to the success of Earls, and something commonly found in Budleigh, is the sense of community. Being such a small, picturesque, seaside town, we wanted to create a space and a feeling, which incorporates the overwhelming sense of community that Budleigh has to offer. 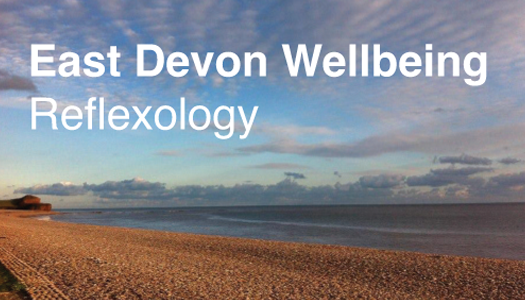 East Devon Wellbeing, which offers a full range of reflexology and foot care treatments, was founded 2012 when Alice Gater decided to pursue her deep interest in complementary therapy. 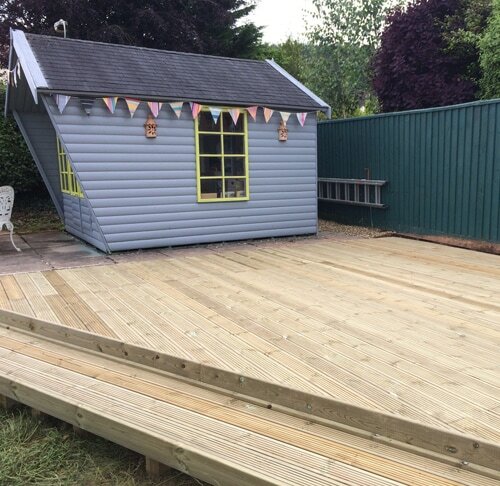 Since then, the business has grown from strength to strength primarily as a result of the peaceful and relaxing treatment area, the attention to detail each client receives and the overwhelming positive experience of clients. 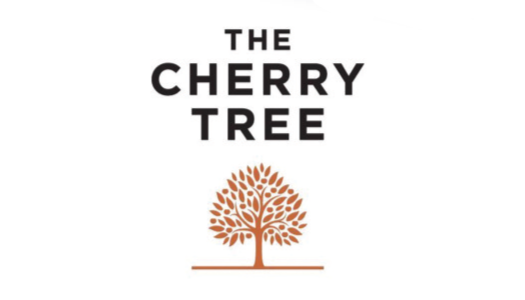 A treatment that can be traced back 5000 years foot pressure and modern day reflexology is acknowledged by many to be a treatment that is beneficial to body, mind and soul. 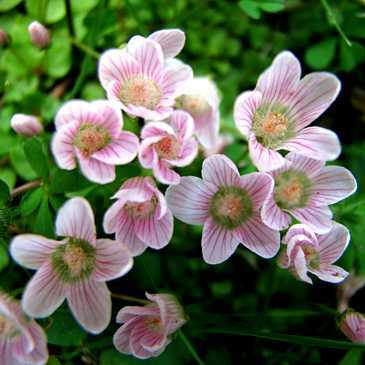 Undertaken by some to improve and manage their health others simply enjoy regular reflexology as a way of maintain good health and wellbeing. 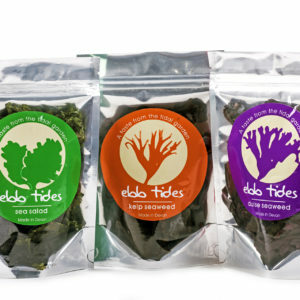 Sustainably hand harvested seaweeds from the Devon coast lines. 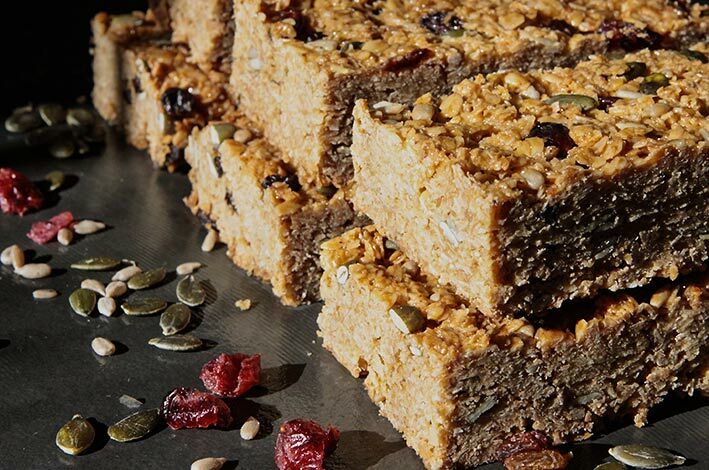 Bursting with flavours and goodness in convenient grinders or whole in packets. 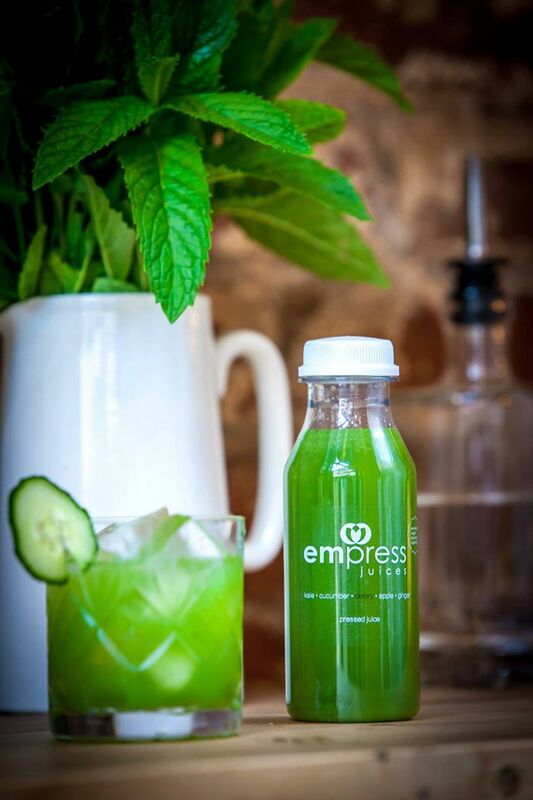 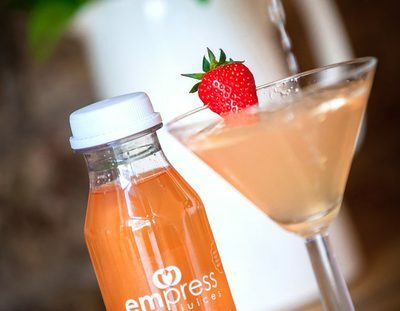 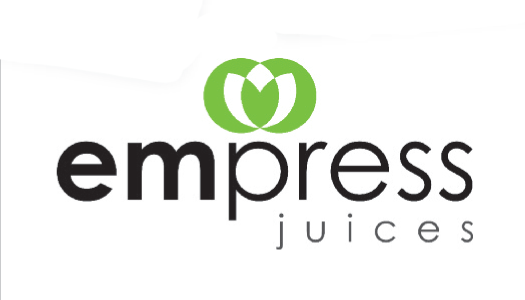 Empress Juices are a combination of fruit and vegetable juices with natural occurring sugars only. 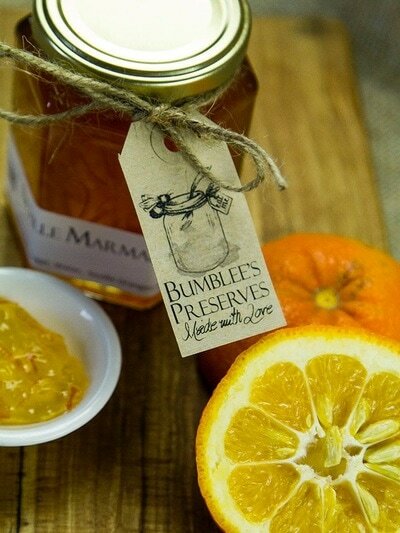 The ingredients are sourced by local producers and retail outlets. 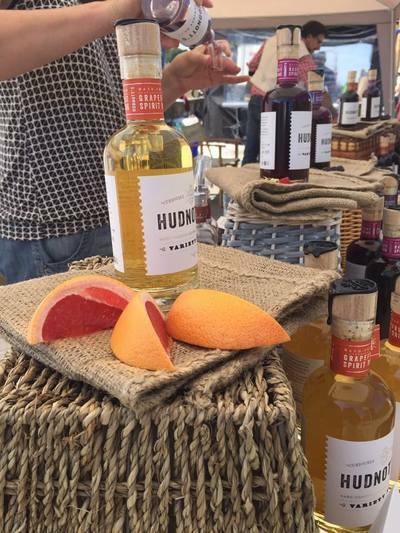 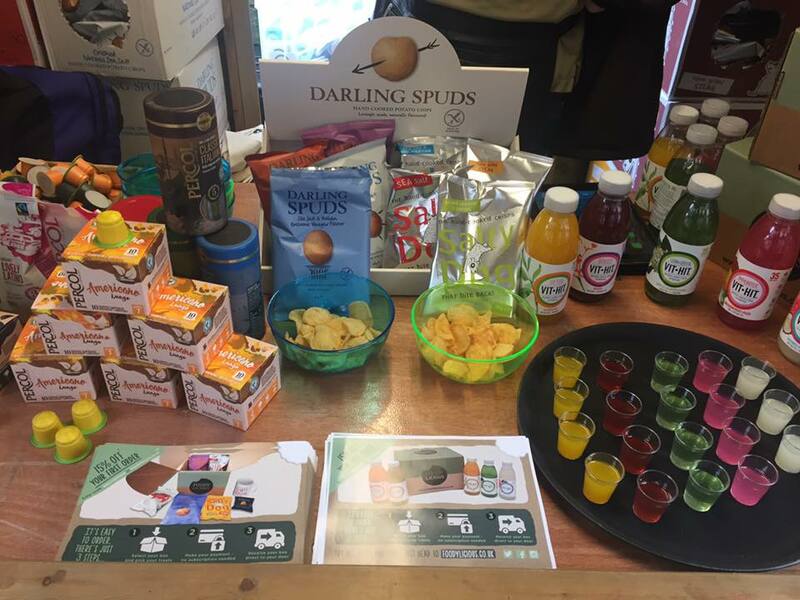 It is great to have the juices at the Budleigh Food and Drink Festival for people to come and taste a product which will be sold in various outlets around the area. 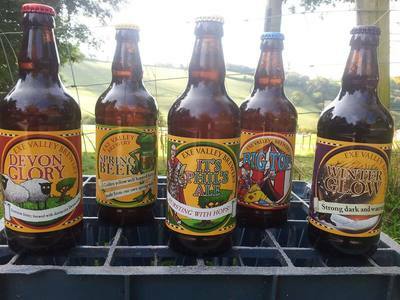 We will be selling our draught and bottled beers made from Devon Malt, English hops and our own spring water. 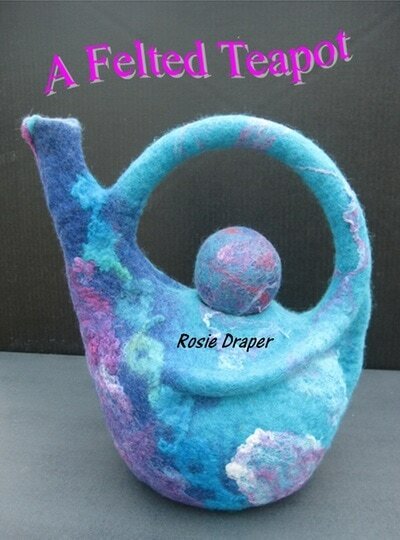 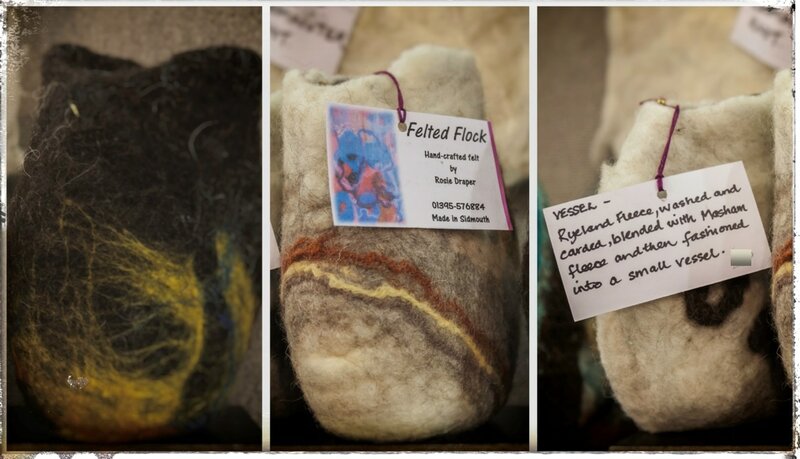 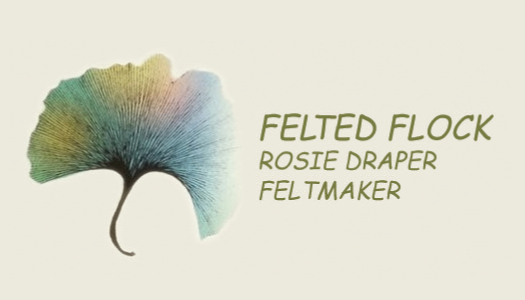 Gifts and interior decorations, from natural wool fleeces, hand felted, created by the seaside. 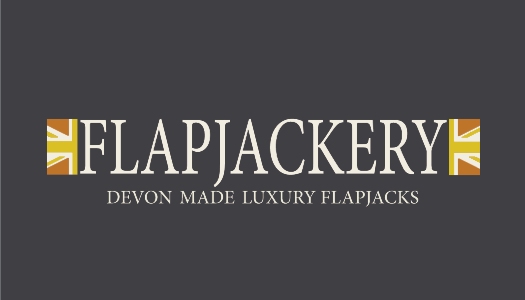 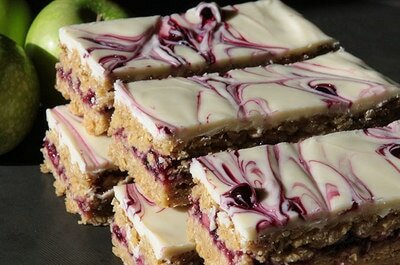 Luxury hand-made Devon flapjacks - full on flavour, high quality flapjacks with a difference. We take the humble oat and raise it to a luxury level by adding high quality local ingredients, posh chocolate and a dash of madness & loads of imagination to create our range of interesting flavours . 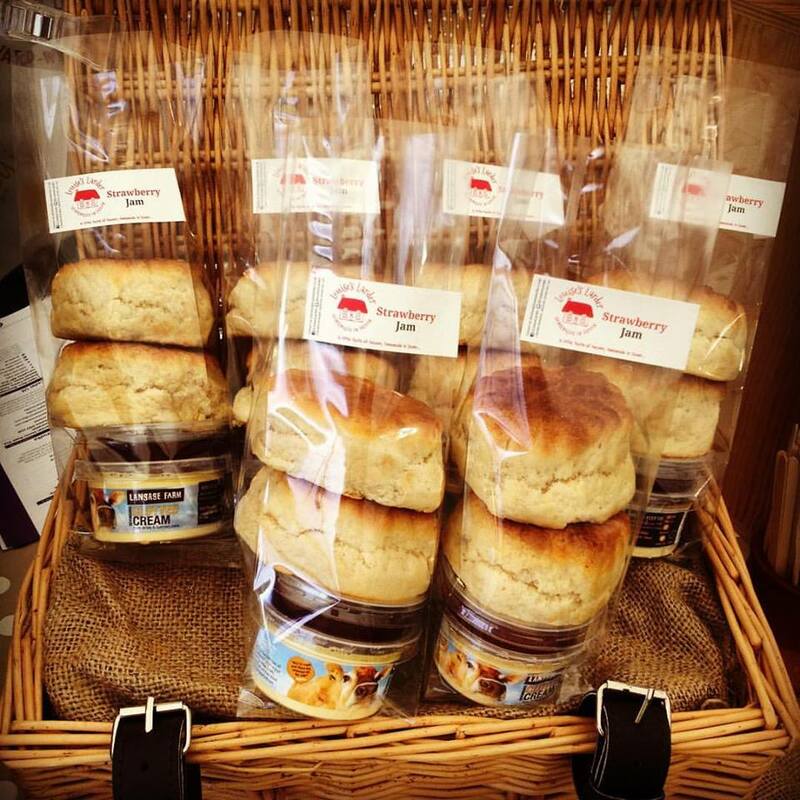 Everything is handmade in small batches in our Devon Kitchen on the edge of Dartmoor. 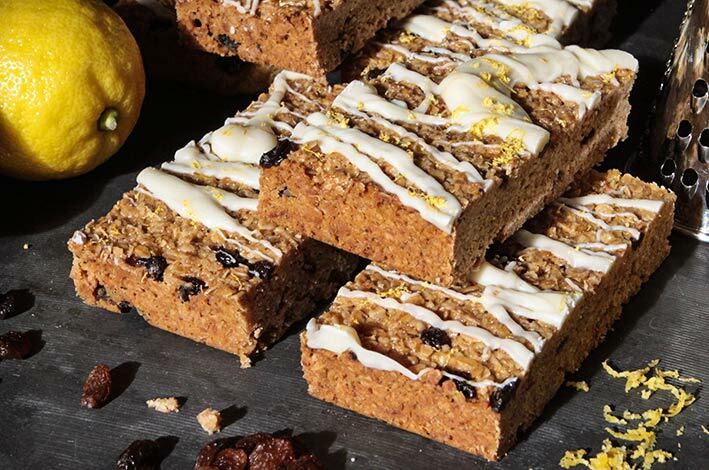 We are dedicated to using only British oats, British butter, and locally sourced and in season produce which is why our flapjacks taste so good. The best bites in a box! 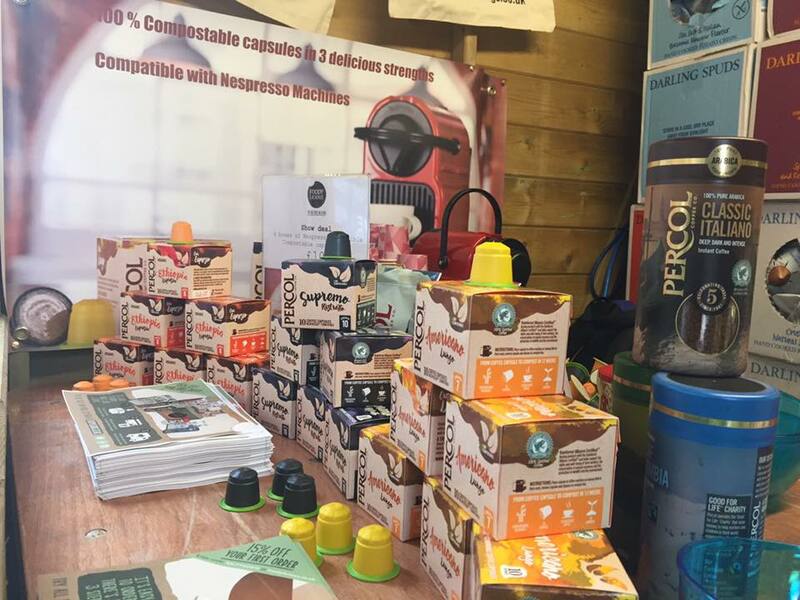 New fully compostable Nespresso compatible coffee pods from Percol. 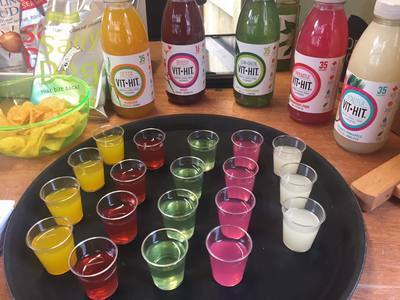 Plus VitHit soft drinks - with no added sugar and only 16-35 calories per bottle. Blended with tea. 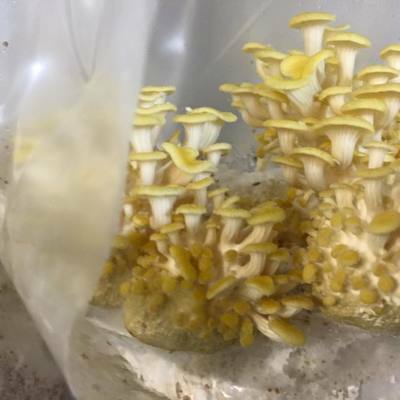 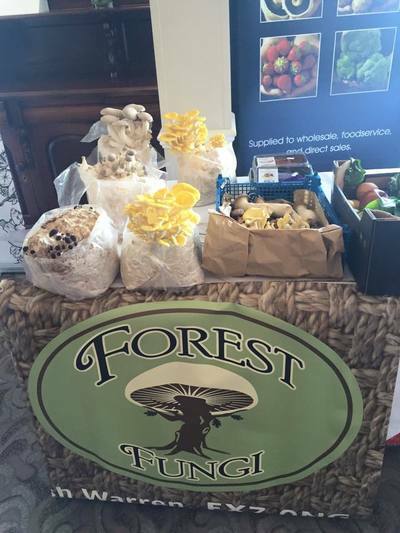 Forest fungi is a grower and supplier of gourmet mushrooms based in Dawlish Warren. 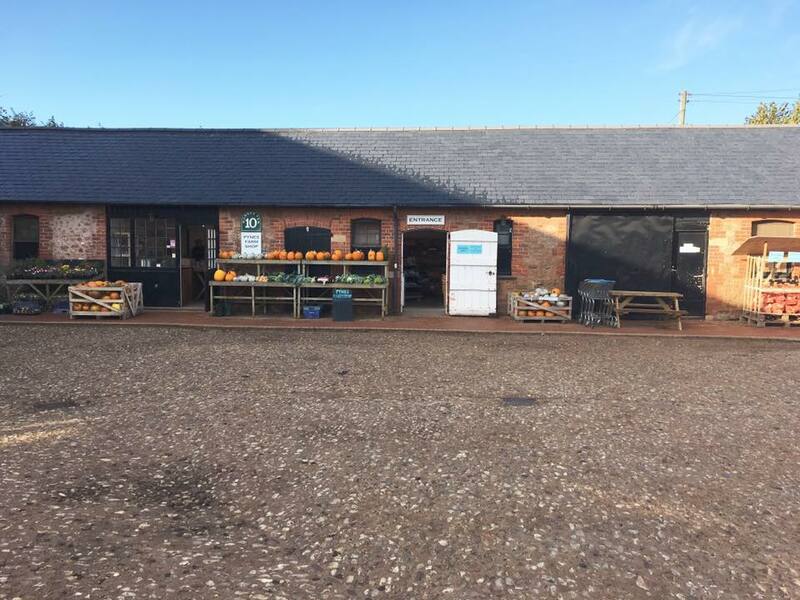 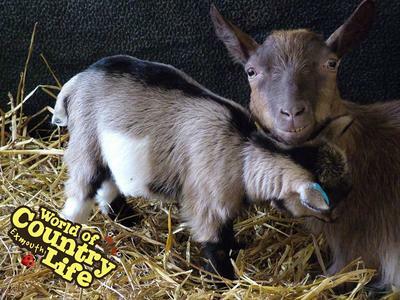 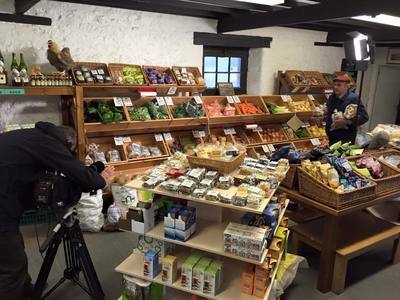 We also operate a successful Farm Shop and cafe. 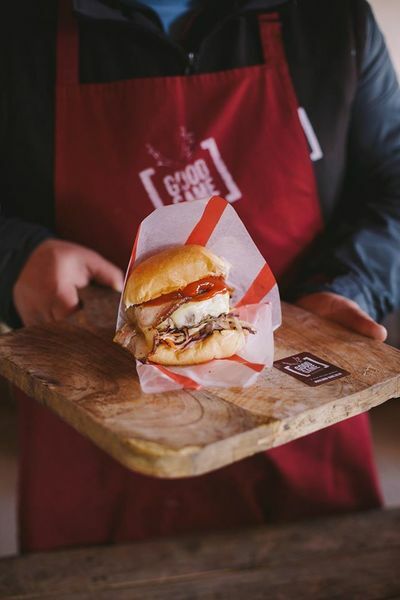 We will be serving a Devon Ruby steak burger, a wild Dartmoor venison and pork burger and a selection of our Devon made nitrate free charcuterie. 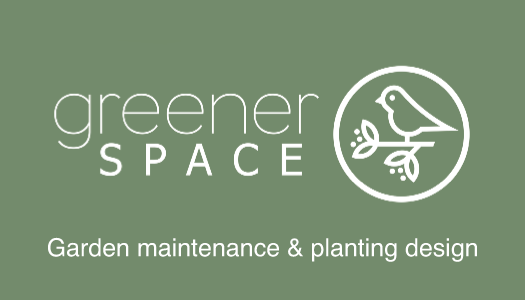 Greener Space is a garden maintenance and soft landscaping company. 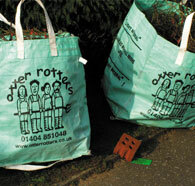 Our experienced team can create and maintain your gardens and green spaces to ensure they are attractive at all times. 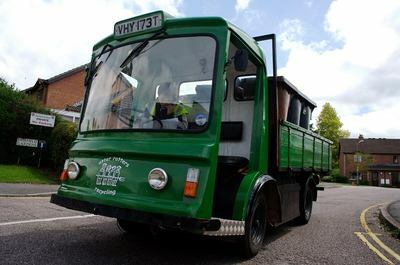 We aim to be greener by using organic techniques and quieter by using rechargeable battery operated equipment and hand tools. 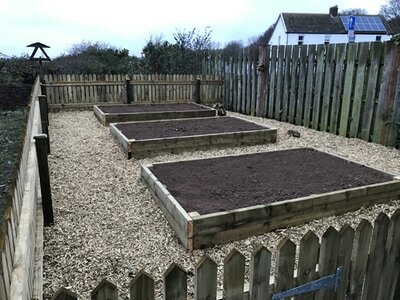 Greener Space is a garden maintenance and soft landscaping company. 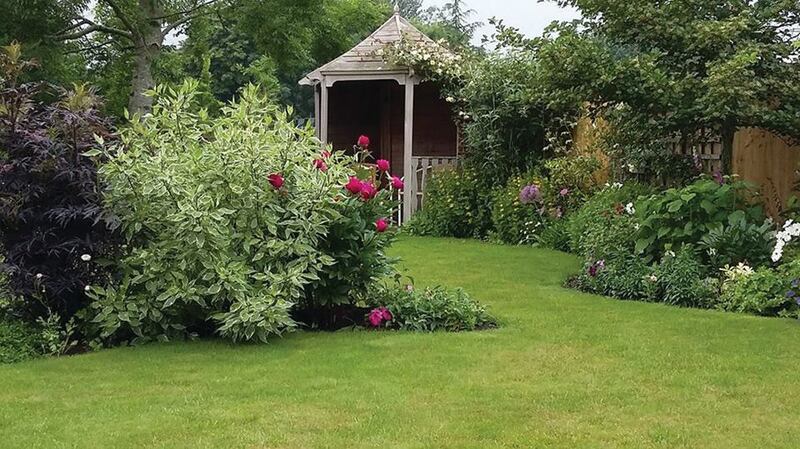 Our experienced team can create and maintain your gardens and green spaces to ensure they are attractive at all times. This includes maintenance of lawns, grasslands, mixed and herbaceous borders, hedges, trees and shrubs. 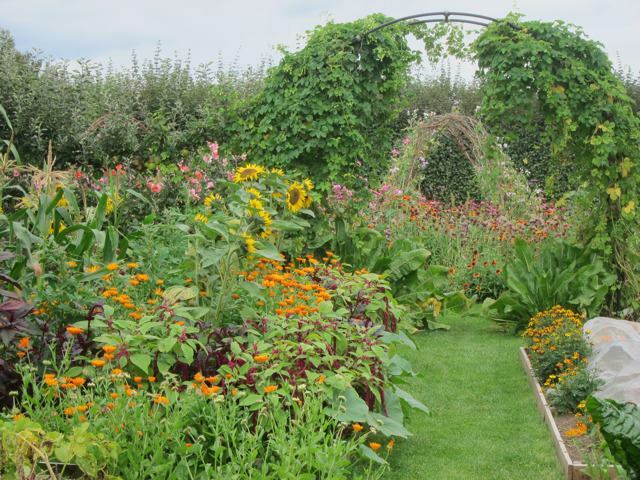 We also offer a full planting design service to help you create new green spaces or revitalise over-mature beds and borders. 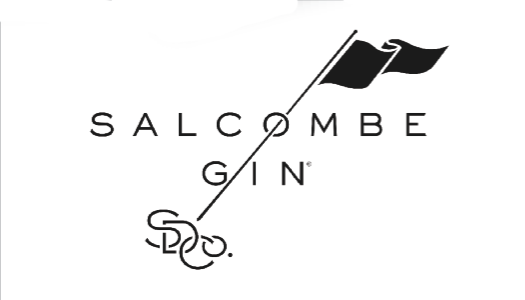 Curiously delicious hand-crafted concoctions made in small batches in Devon. 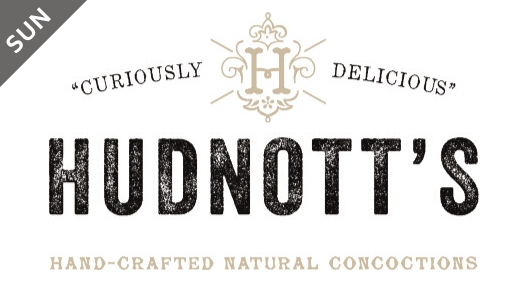 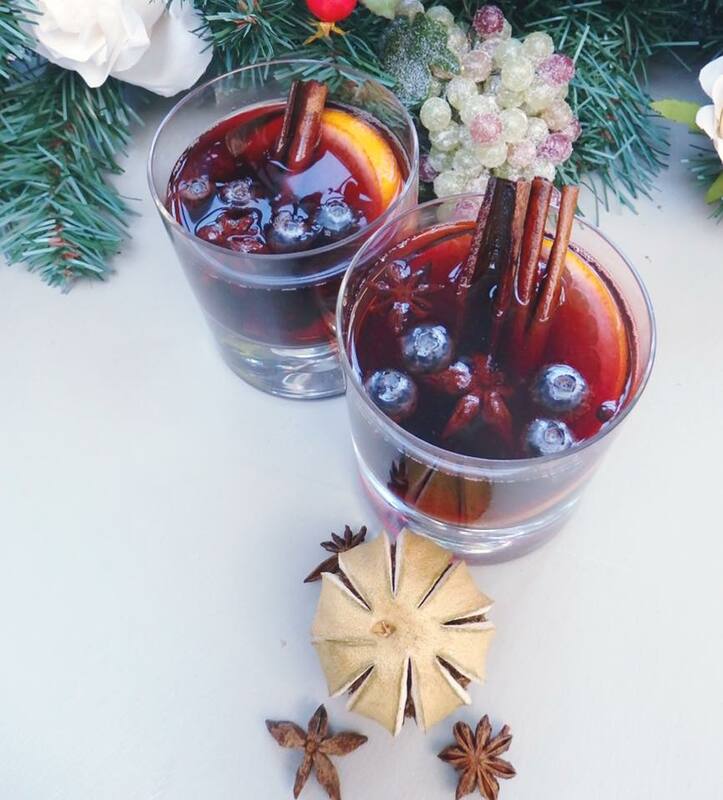 Hudnott’s 'CURIOUSLY DELICIOUS' concoctions are lovingly hand-crafted with care and attention. 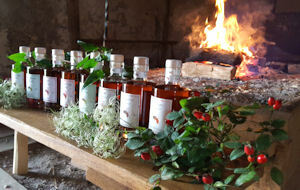 Unhurried filtering and ageing before bottling give these unique blends their extraordinary charm. 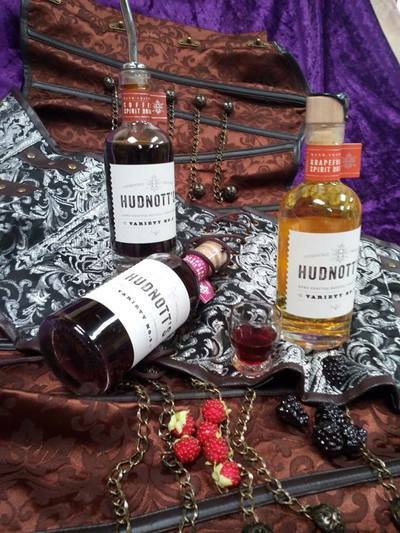 Brimming with intrigue, each ‘VARIETY NO.’ combines natural ingredients with an alcohol base to TANTALISE and DELIGHT the taste buds. 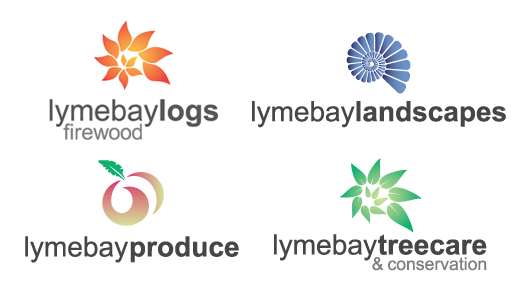 Which will you discover next…? 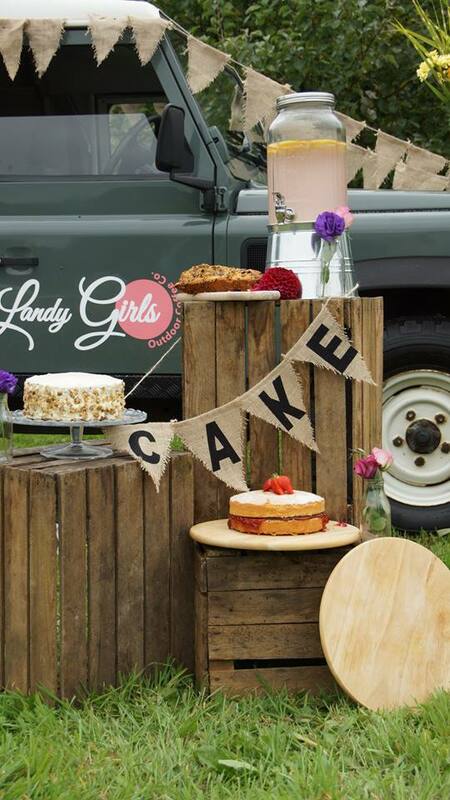 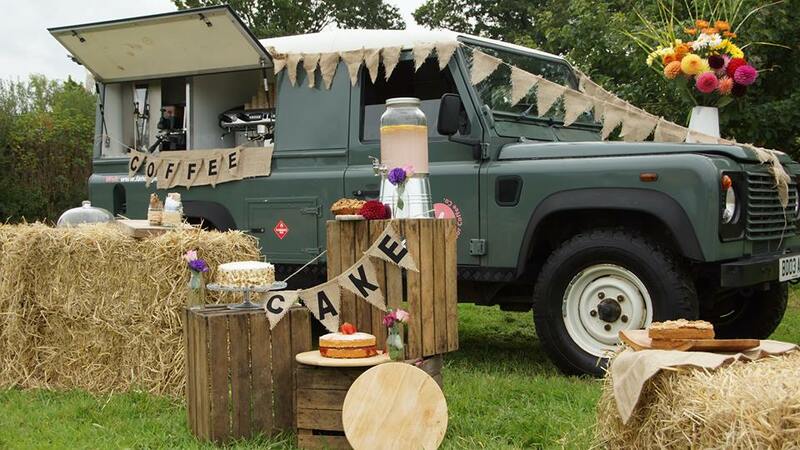 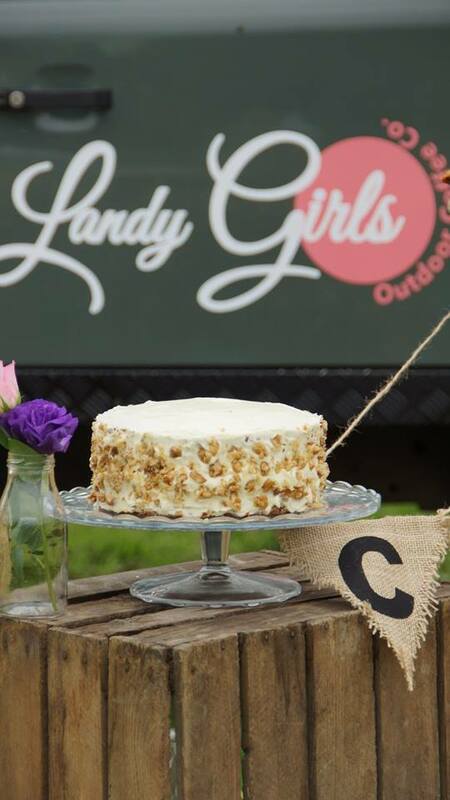 Providing freshly ground locally ground coffee, gorgeous homemade cakes, all served directly from our beautiful licensed Land Rover Defender 110. 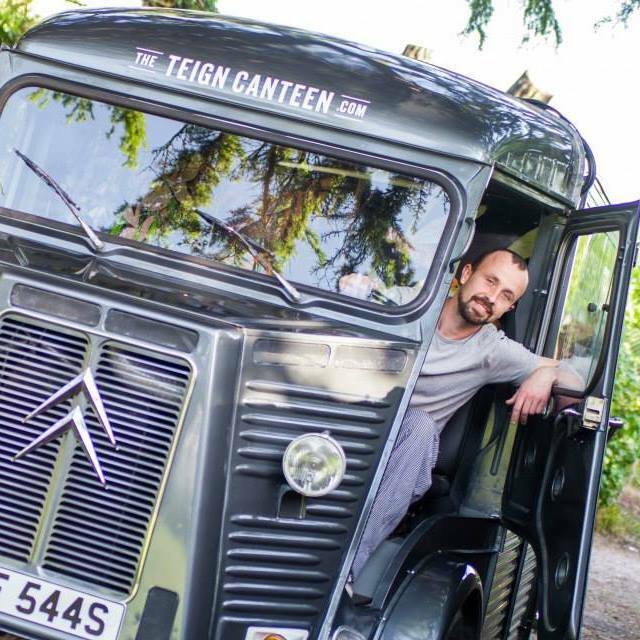 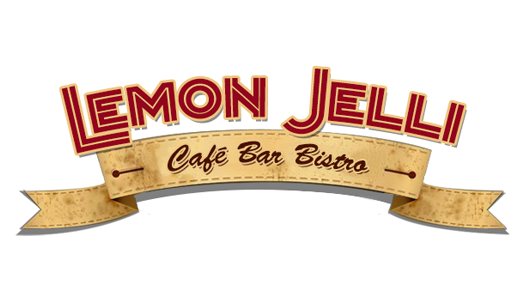 11 years in the maturing, Lemon Jelli has come a long way from a tiny juice bar in Totnes Devon to the French inspired crêpe coffee Shake and juice van that you see today. 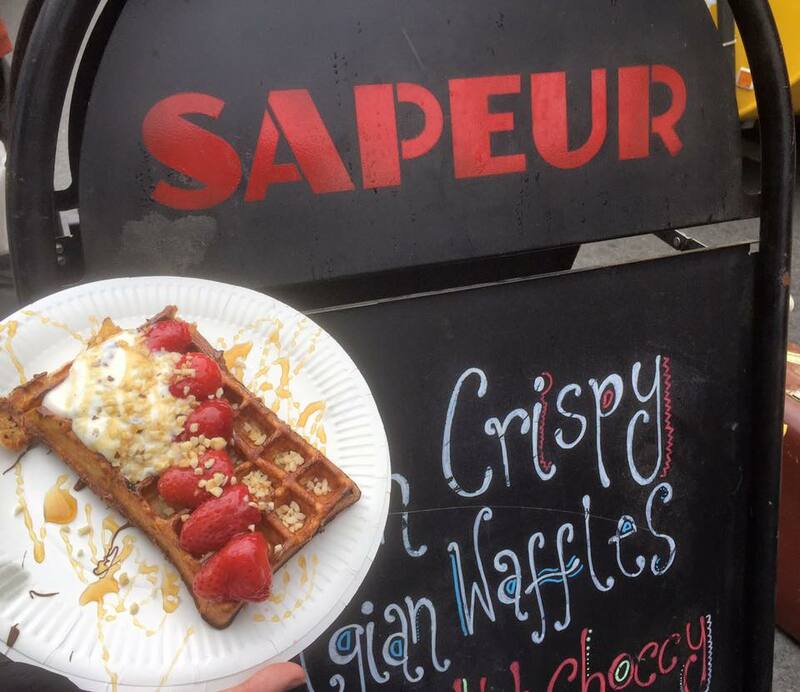 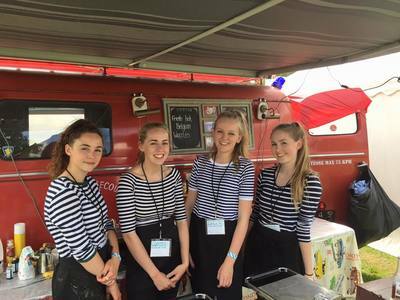 A long term favourite at festivals, wherever we are you are guaranteed the same friendly and distinctly French style welcome. We are a very small family business and have been trading since January 2015. 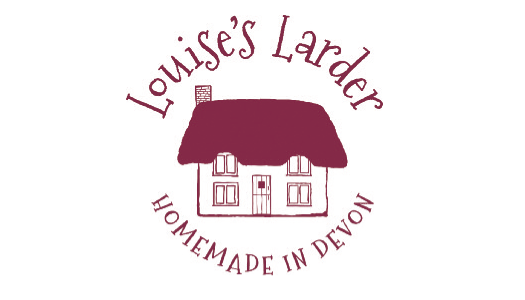 All our products (except the cream for the teas which comes from Langage Farm) are created by hand in our cottage kitchen, using traditional methods and in small batches. 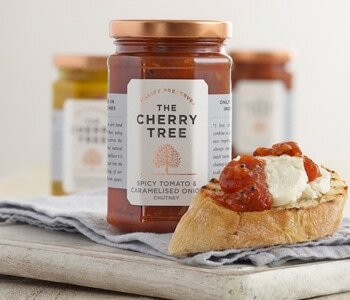 We pride ourselves on the uniquely flavoured seasonal preserves and chutneys we produce which you don’t see anywhere else. 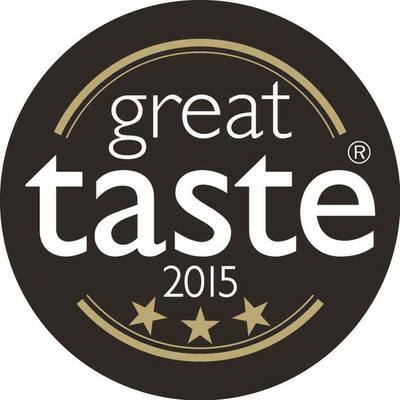 Our Rhubarb, Rose & Cardamom Jam won a 3* Great Taste Award in 2015 - one of only 130 out of 10,000 entries across all food categories, and only 1 of the 4 awarded to producers from Devon. Our Gingered Fig & Rhubarb Chutney won a Gold Food & Drink Devon Award in 2015. 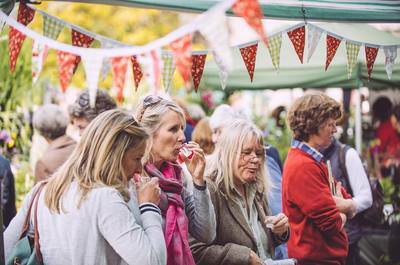 We are aware that the opportunity to show at events for jam & chutney companies is routinely heavily applied for, and clearly this event has the same problem to consider. In order for us to be unique to other similar companies, not only are our jams and chutneys truly homemade here in Devon, but we also offer the customer the opportunity to purchase traditional Devon cream teas to take away, made with a Devon split (a small yeast-risen lightly sweetened bun), Devon clotted cream and our jams. 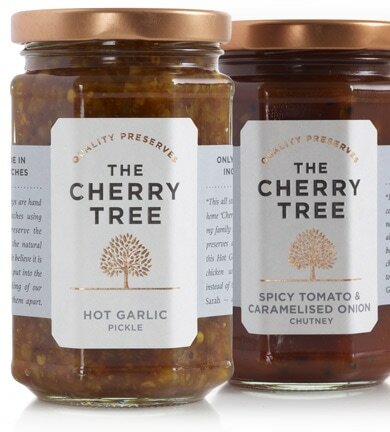 This then acts as a showcase for our uniquely flavoured produce. We offer a full landscaping service, built on recommendation. 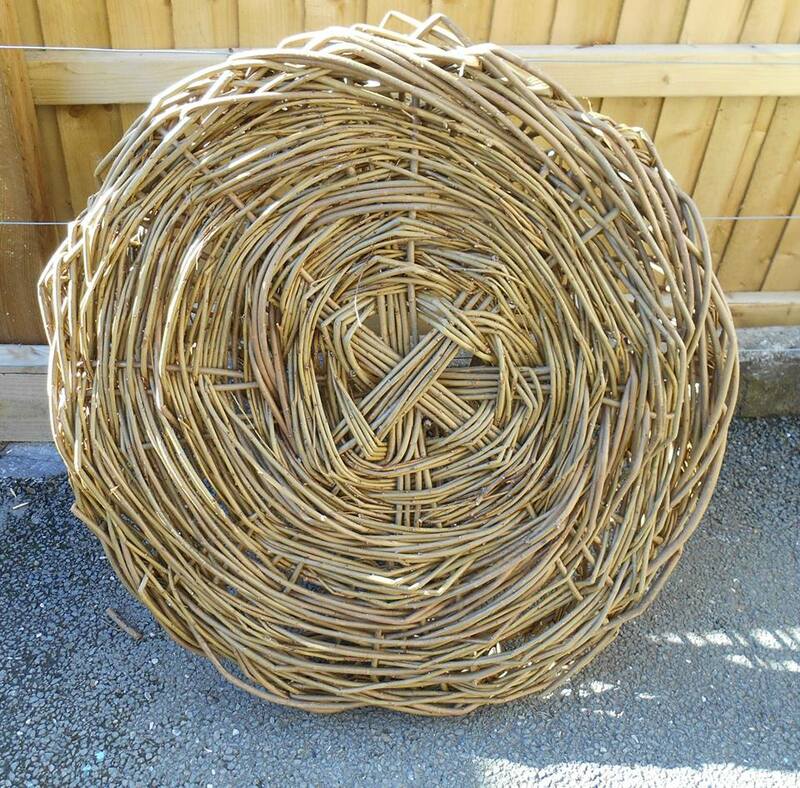 We also sell sustainable local hardwood logs and bespoke log stores. 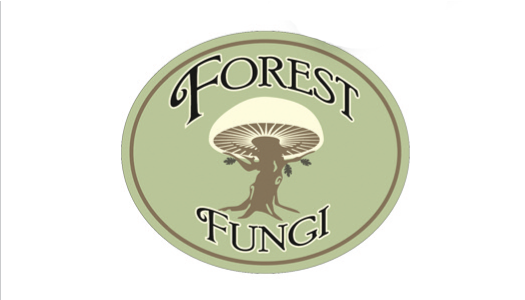 Our tree care and conservation service is committed to promoting tree health and longevity. 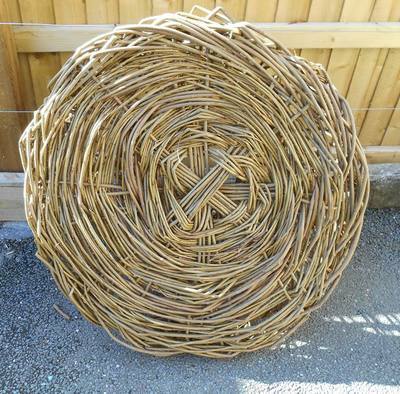 Hedge planting and laying, low impact wildlife friendly gardens and landscapes. 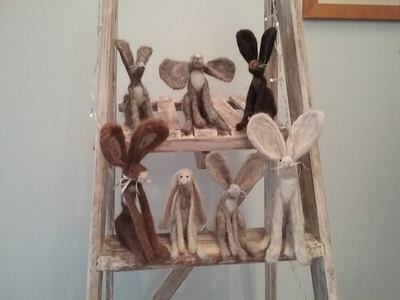 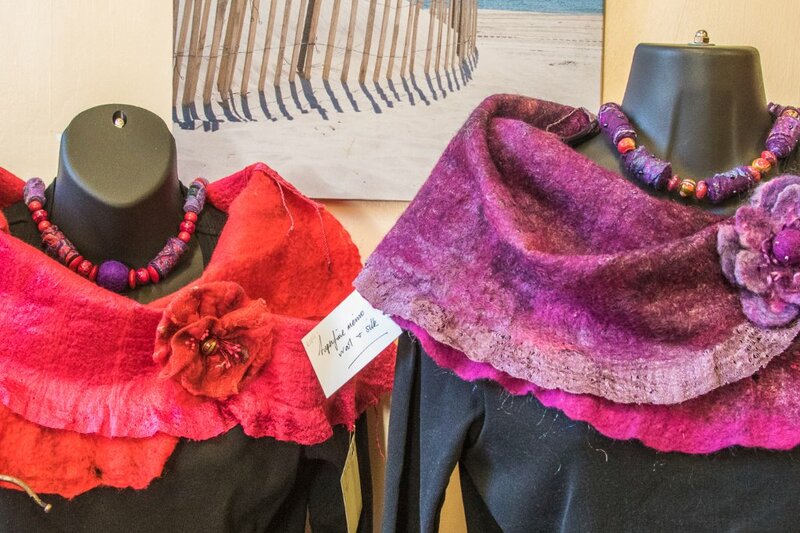 Located just outside Topsham, Make at Monteray is an exciting new venture hosting creative workshops for people enthusiastic about arts and crafts. 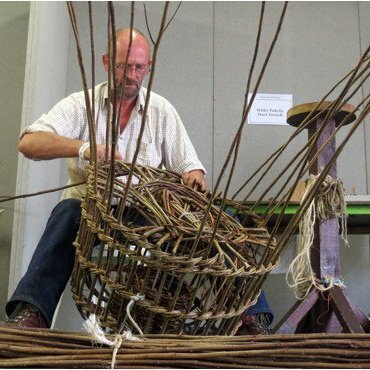 Our workshops are led by highly respected professional makers, keen to share their unique passion and skills. 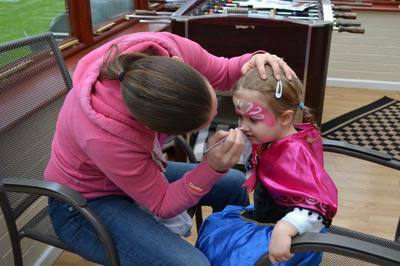 We provide a relaxed and friendly environment, highly conducive to learning. Our emphasis is on having fun and encouraging you to make something special you can take away and be proud of. 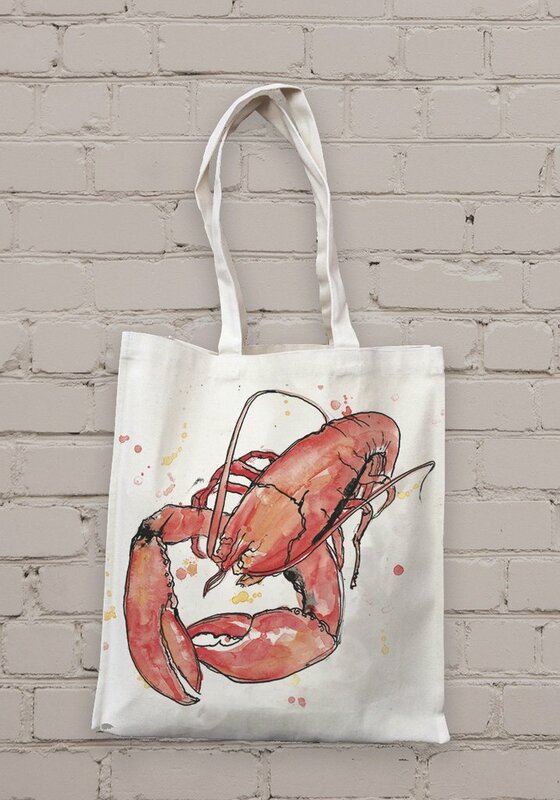 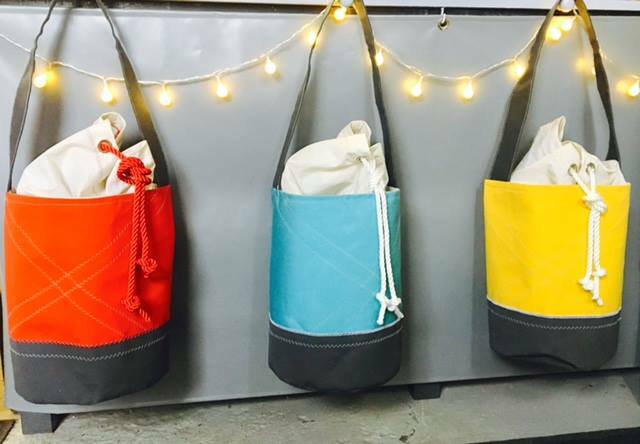 Make at Monteray has a rapidly increasing portfolio of sought after makers. 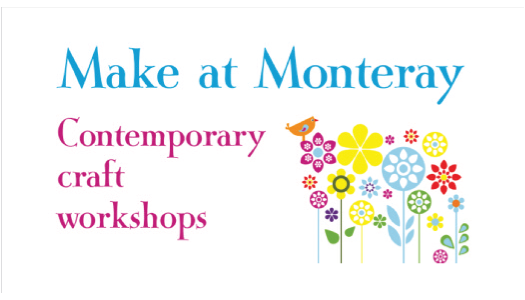 Throughout the year we put on a range of diverse workshops which will be listed on this website. Be sure to keep your eye on upcoming events, our places are highly limited so book early to avoid disappointment. 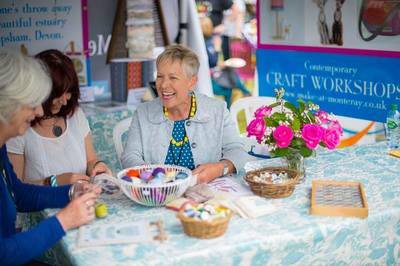 Karen Spicer will be presenting a talk and demonstration at 1pm on Sat 8 April on the Deckchair stage in the Living and Lifestyle Marquee on the Green: Find out about this exciting new local venture hosting creative workshops from some of the best contemporary artists and makers in the UK, for people enthusiastic about arts and crafts. 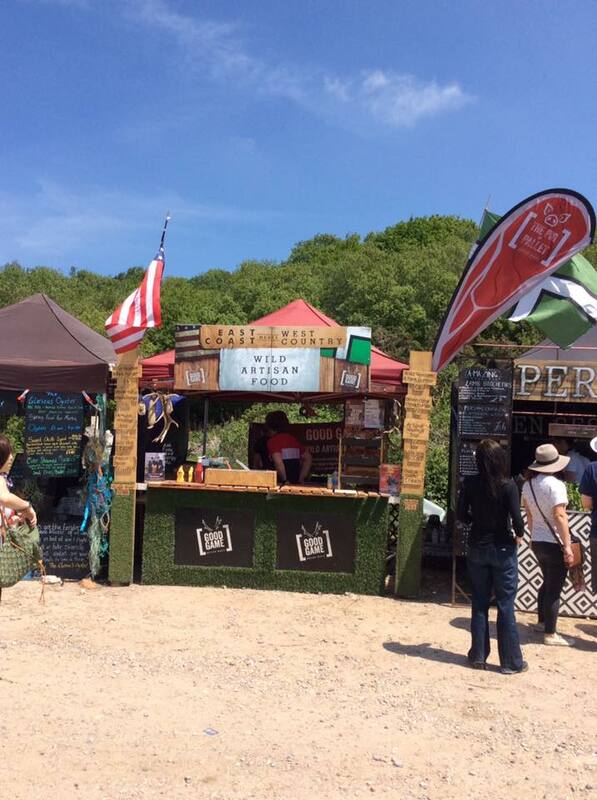 Andalusian Olives and Tapas infused with the Taste of the West Country. 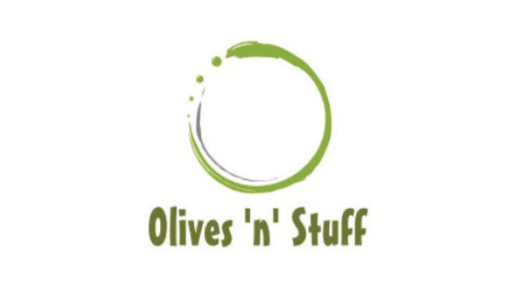 At OlivesnStuff I'm so passionate about the olives I sell I want everybody to experience the taste of these fantastic Spanish Olives I use. With so many different uses this versatile product can be enjoyed in cooking, drinks or just as an appetizer. 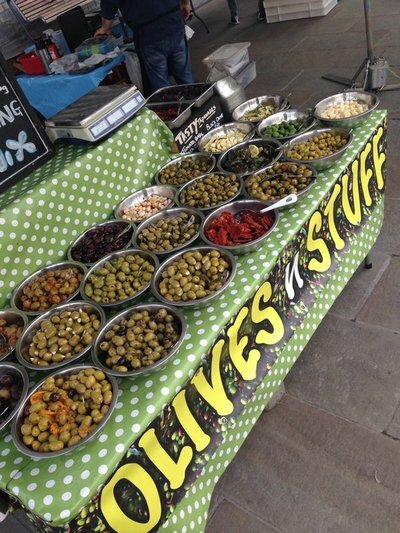 By adding my own distinctive flavours to a variety of these olives only enhances the enjoyment of the Olive. 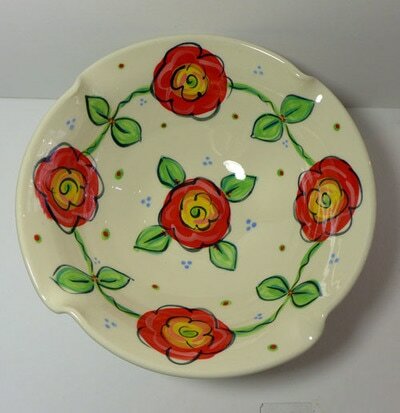 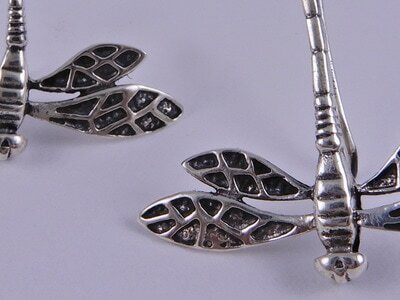 So why not see for your self visit OlivesnStuff. 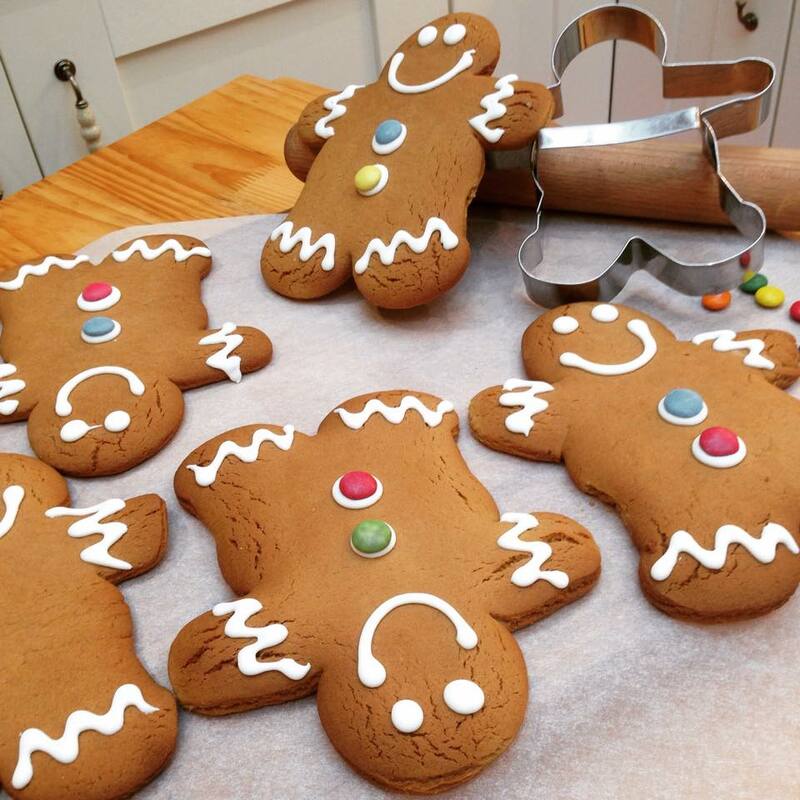 Because being unique is all about being different. 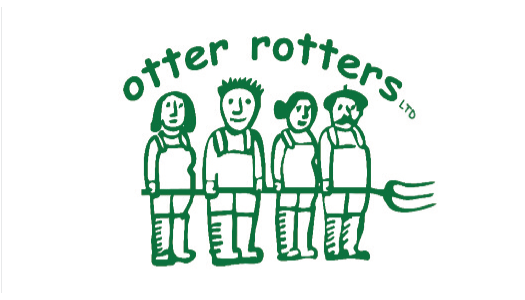 Otter Rotters is a not for profit community composting group which provides supported work opportunities for disadvantaged people. We reduce the number of individual car journeys by operating a house to house collection service which also helps people who do not have a car or who need a little extra help in managing their gardens. All garden waste is composted locally in open windrows and the compost made available to local growing schemes, schools and gardeners. 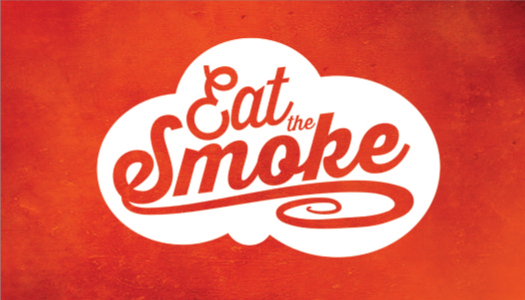 Authentic Pit Smoked 'Dirty' Beef brisket, Cider apple wood smoked pulled pork, traditional mac n cheese, 'Burnt End' beans. 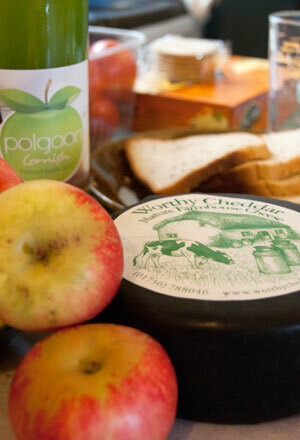 All our products are sourced from artisan producers from Somerset & Devon. 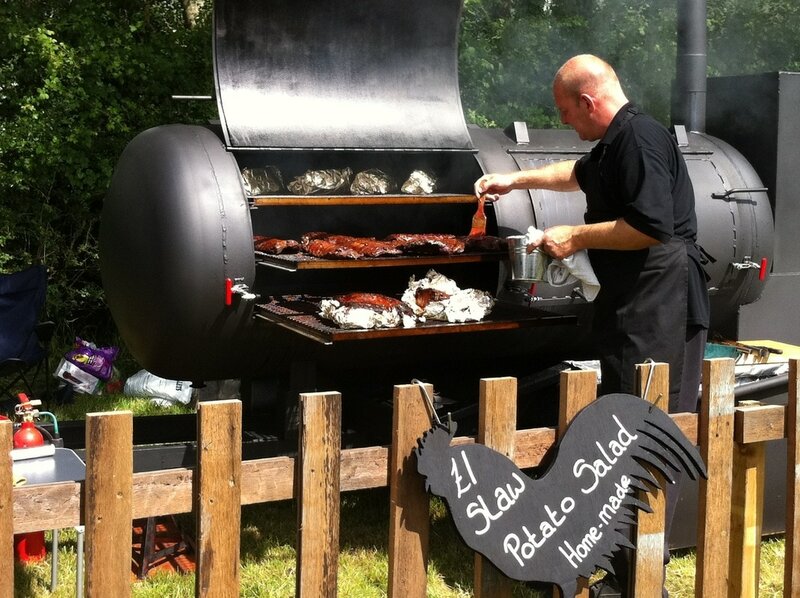 Our brisket is smoked for 20 hours over cherry wood & melts in the mouth. 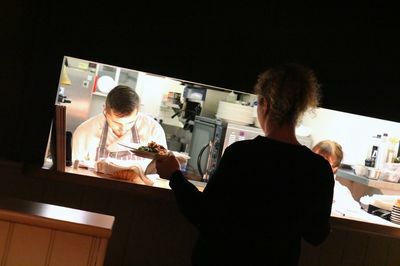 Every thing we serve is made from scratch by us with plenty of passion! 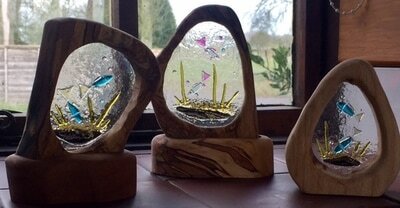 CERAMICS - MIRRORS - PAINTED GLASS - PAPERCLAY AND JEWELLERY. 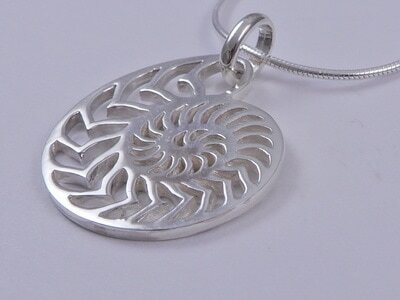 All our products are hand made. 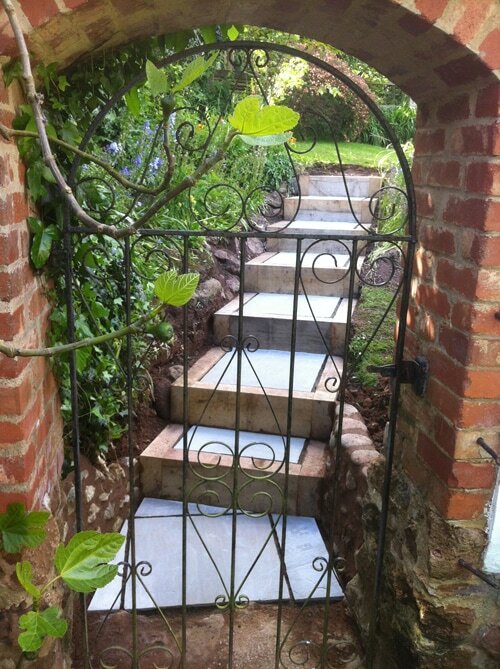 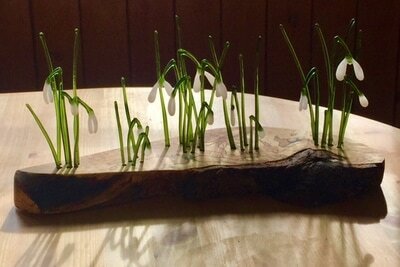 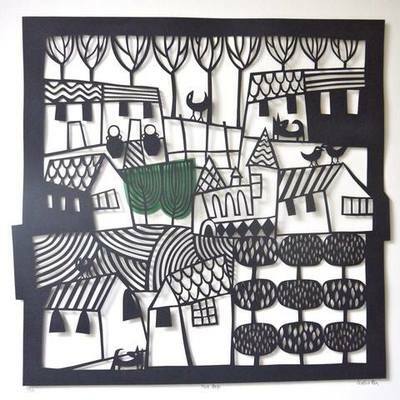 Our work is original and reflects the countryside. 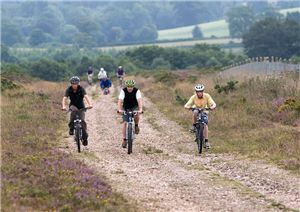 The East Devon Pebblebed Heaths are the largest block of lowland heath in Devon. 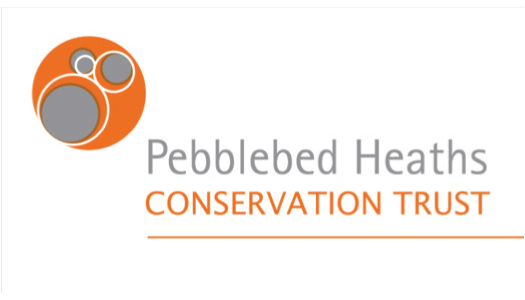 The Pebblebed Heaths Conservation Trust are a conservation charity established by Clinton Devon Estates in 2006 to manage the core area of this unique wildlife habitat situated close to Exeter. 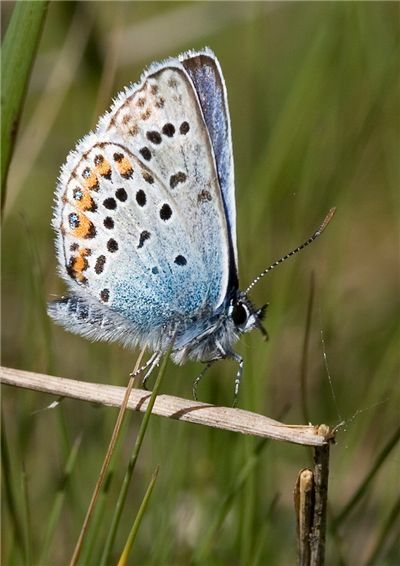 Designated a Site of Special Scientific Interest, a Special Area of Conservation and a Special Protection Area, this area represents one of the most important conservation sites in Europe. 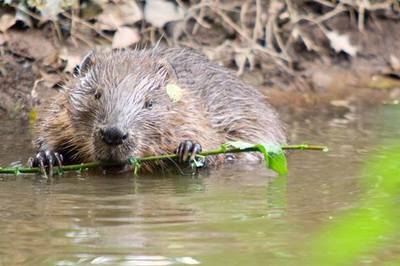 Our aims are to ensuring this threatened ecosystem is protected, all wildlife associated with the heathland flourishes, to protect public access, encourage responsible public enjoyment of the heaths and promote environmental education. 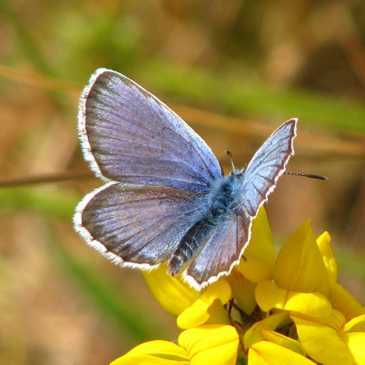 ​As well as being internationally important site for wildlife and archaeology the heaths provide one of the largest recreational spaces in the area. All our car parks are free and many thousands of people of all ages use this site to mountain bike, horse ride, exercise dogs or simply walk enjoying unspoilt rural views of the heath and coast. 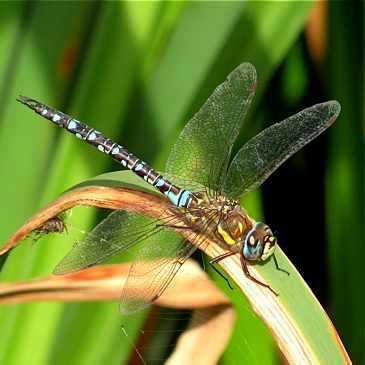 Our aims are to ensuring this threatened ecosystem is protected, all wildlife associated with the heathland flourishes, to protect public access, encourage responsible public enjoyment of the heaths and promote environmental education. 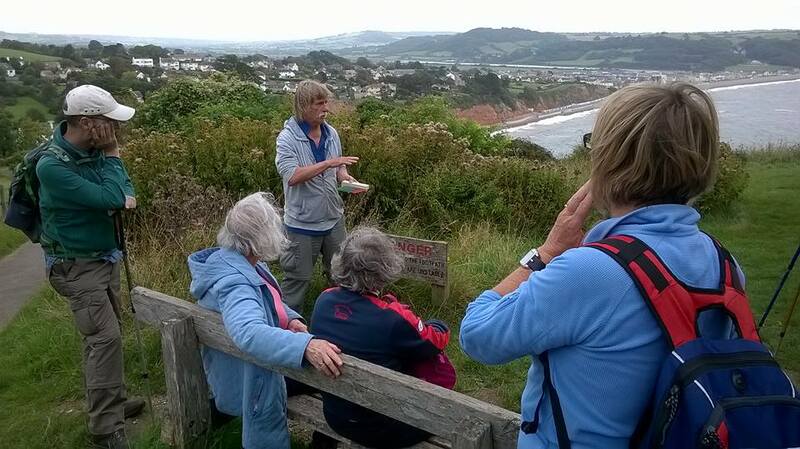 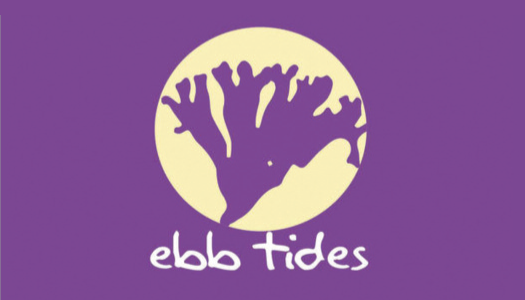 ​In addition to managing the heaths and River Otter estuary we also host educational visits for local schools and colleges, run volunteer work days for individuals and organisations and provide talks for WIs, Rotary and U3A across East Devon and Exeter. The Trust is always looking for ways of celebrating all the heaths have to offer for people and wildlife. 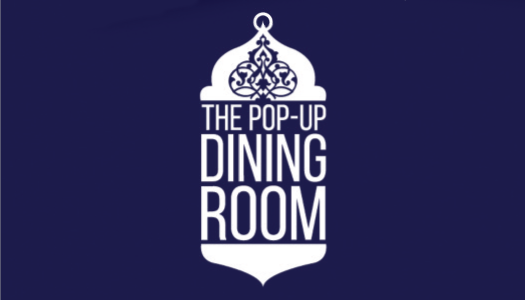 A Bespoke Party Solution: Whether you’ve got a milestone birthday or anniversary approaching, a new member of the family to celebrate or you just fancy treating your nearest and dearest, The Pop-Up Dining Room is the ideal venue to get together and enjoy the moment. 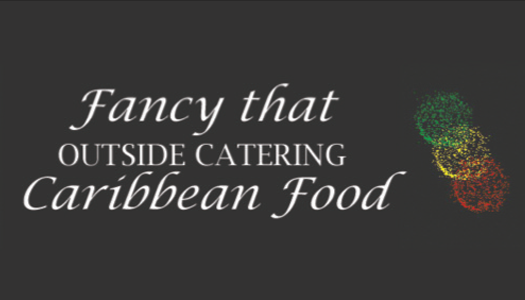 We are a complete service, providing you with a decorated marquee, elegant tablescape of your choice and catered menu, allowing you to fully enjoy the occasion whilst we do the work behind the scenes. 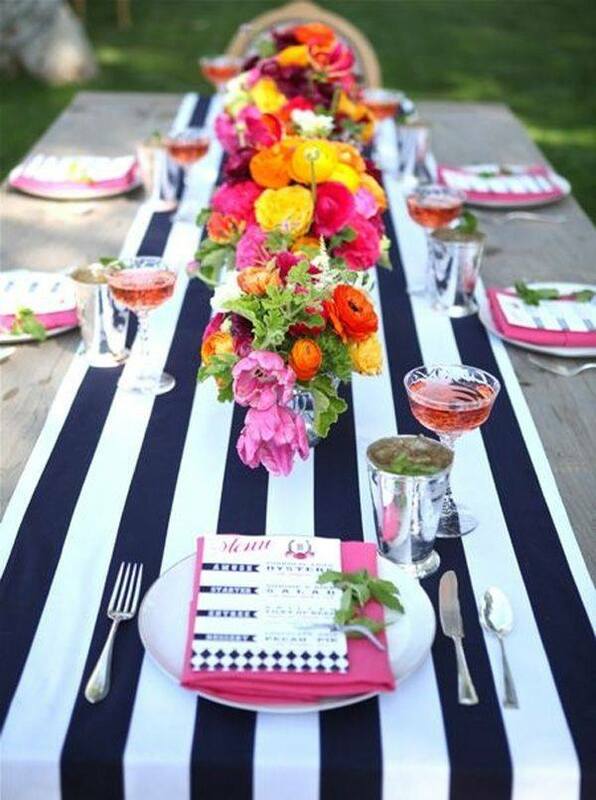 We can event manage your party from start to finish or simply provide just the catering. 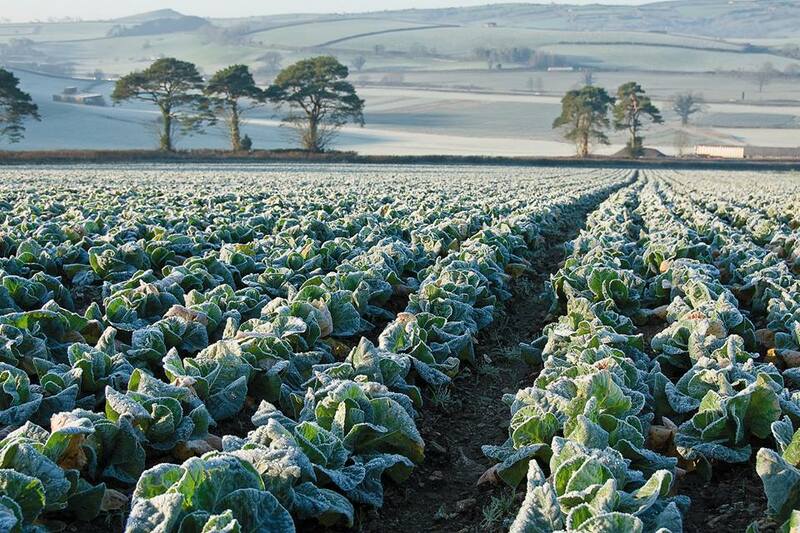 All our raw ingredients are locally sourced and where ever possible we stick to seasonal varieties. 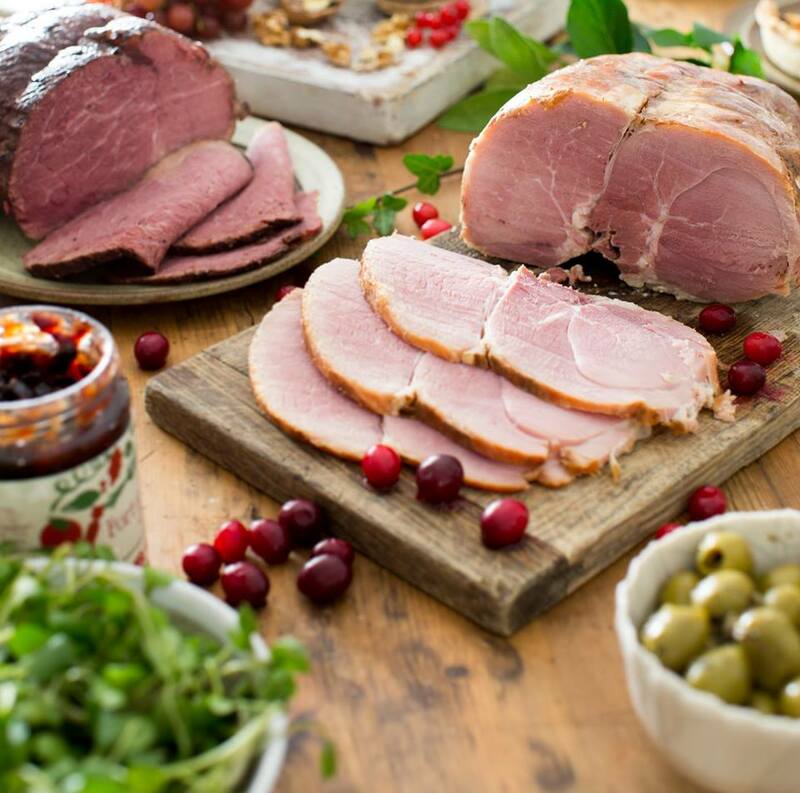 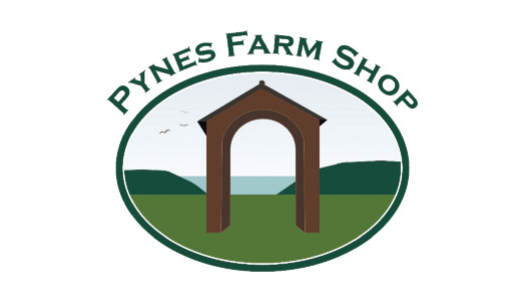 At Pynes Farm Shop we believe in shopping locally and seasonally. We sell a full range of fruit & vegetables and also meats, cheeses, beers, ciders and more. 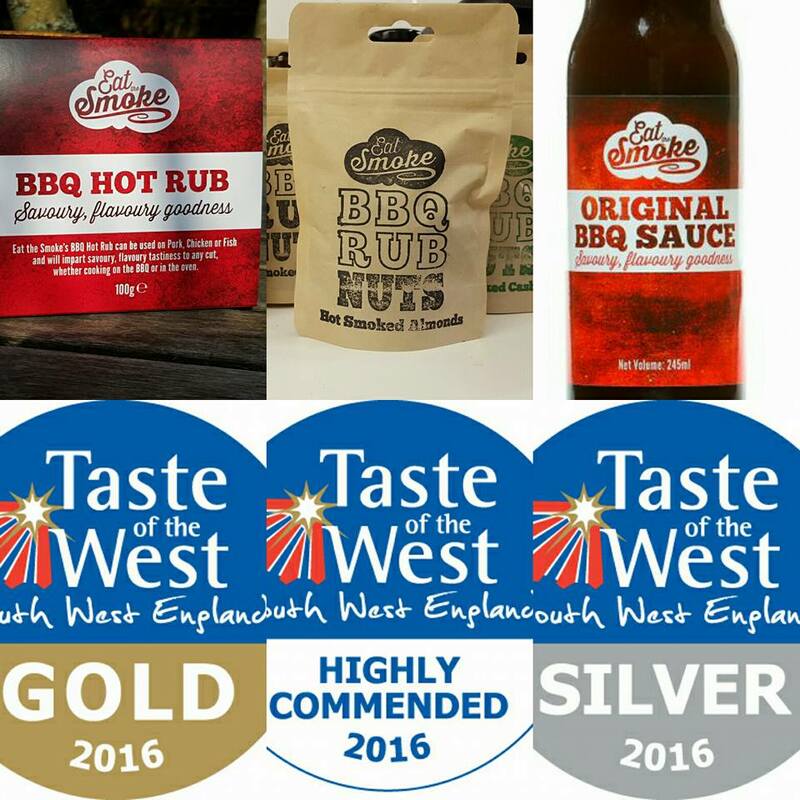 Wherever we can source a product locally we do. 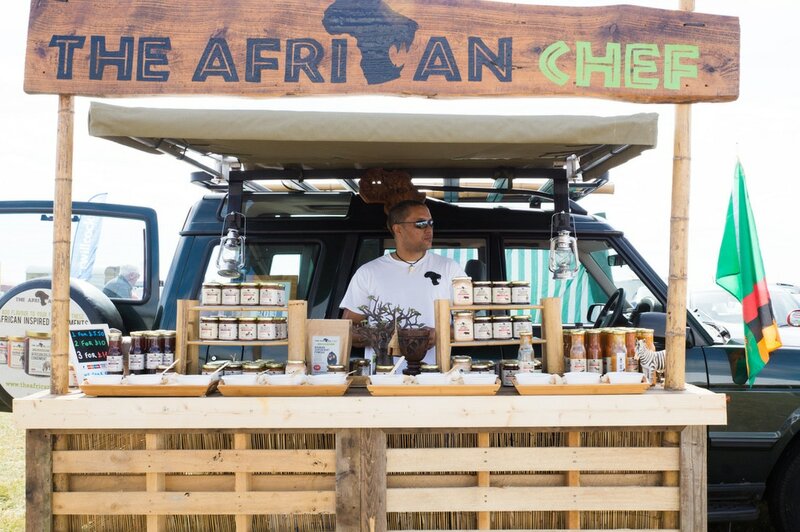 It isn't very easy getting local bananas or oranges however, so we do sell foreign produce as well. 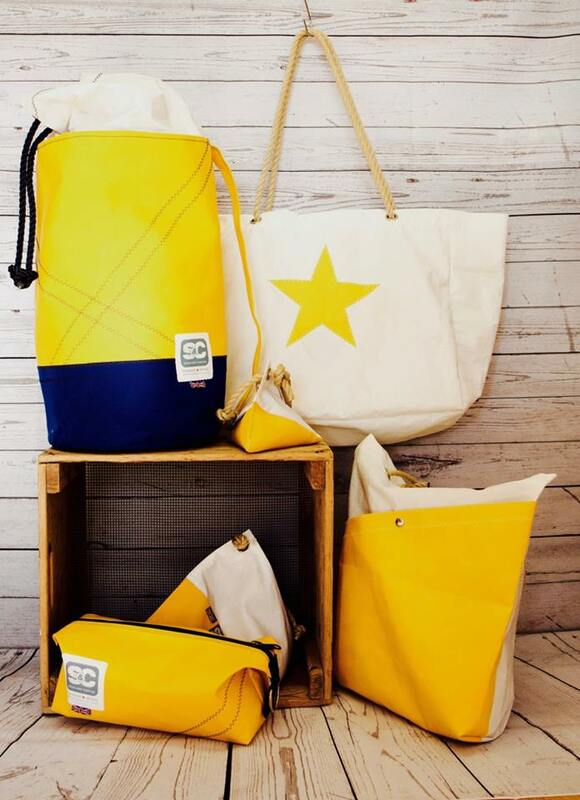 That way you'll always be able to get everything you need. We grow a good range of vegetables ourselves and have good links with local farmers and food producers (of which this area is full of). 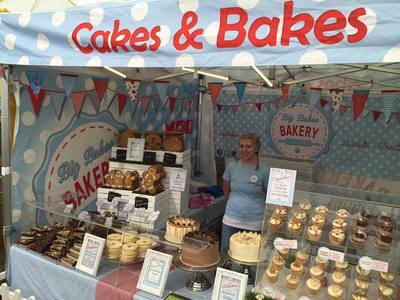 Hopefully we'll be able to meet even more local suppliers and customers at the festival! 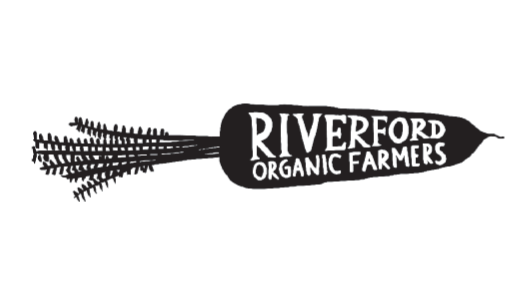 Discover a simple way to eat better, with a Riverford organic vegbox. 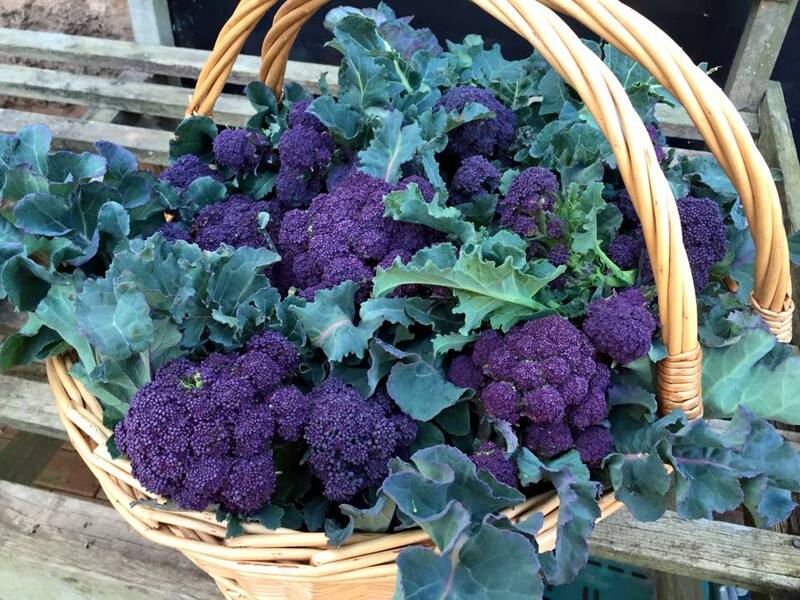 We’ve been growing organic veg since 1987, choosing varieties for flavour and looking after our soil, wildlife and birds. Every day we pick, pack and deliver the very best veg from our fields straight to your door. 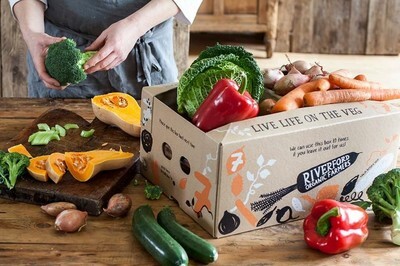 It’s all organic, delivery is free and we’ll bring seasonal recipes every week to help you make the most of your vegbox. 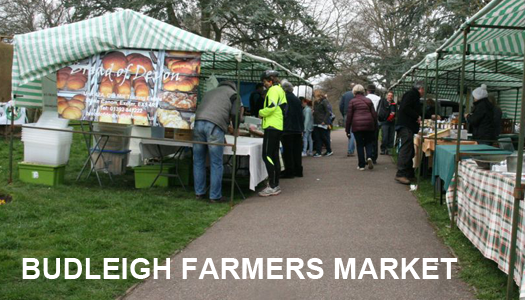 Come and meet us at our stall or visit our website. 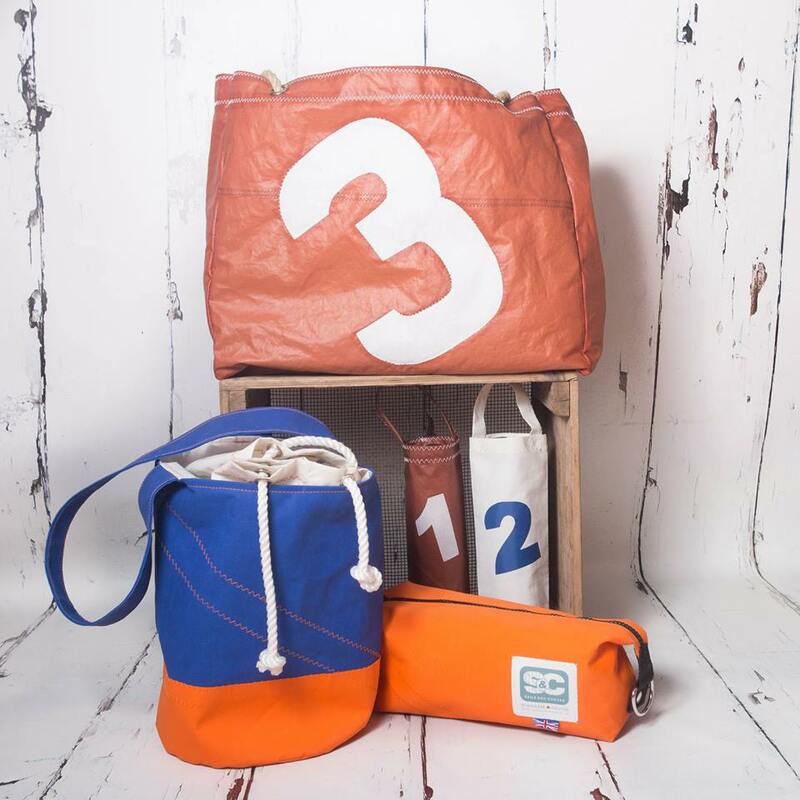 A collection of original lifestyle products in upcycled sailcloth and marine canvas, handmade at our sail loft studio in Topsham, Devon...All Things Sails and Canvas. 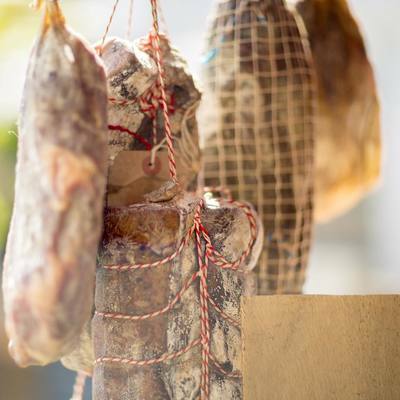 We sell local wild seasonal game, sourced by us. 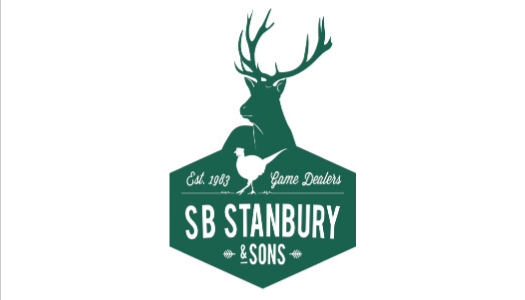 We are fully licensed and registered game dealers. We sell wild venison, wild boar, rabbit and pigeon. 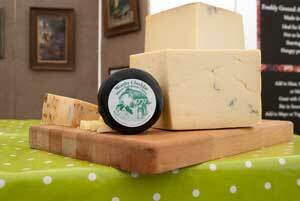 We also make our own homemade game pies and pate. 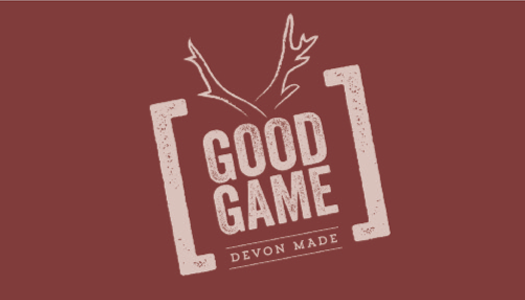 We are delighted to be part of Budleigh Food Festival, to promote our Devon Game. Recently awarded Gold at The World Gin Awards 2017. Exceptionally smooth, distinct and complex. 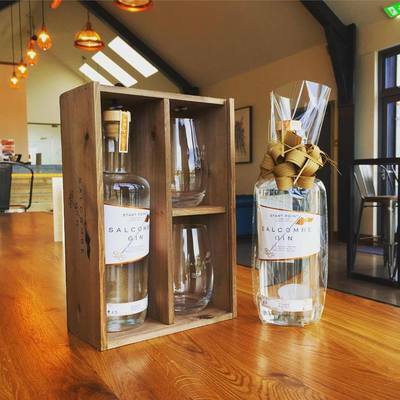 Salcombe Gin is handcrafted from the finest English wheat spirit, pure Dartmoor water and thirteen hand-sourced botanicals on ‘Provident’, a beautiful 450l copper still overlooking the water in the stunning coastal town of Salcombe, South Devon. 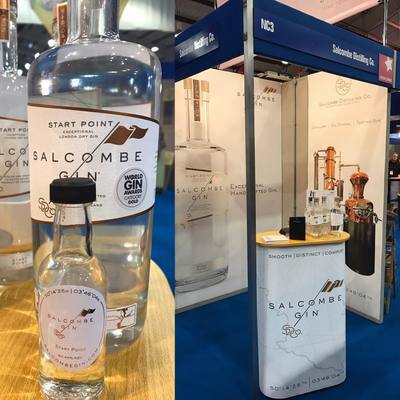 Distilled to the London Dry Standard, Salcombe Gin ‘Start Point’ has classic heady juniper notes balanced with citrus aromas from fresh ruby grapefruit, lemon and lime peels and is complemented by warming spice from English coriander seed, cinnamon and cubeb. 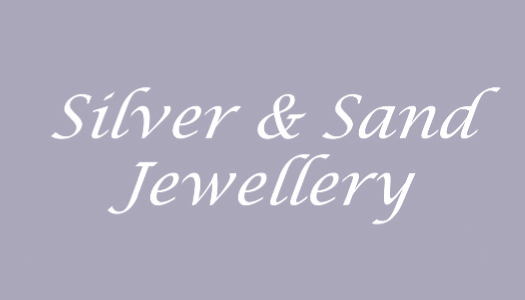 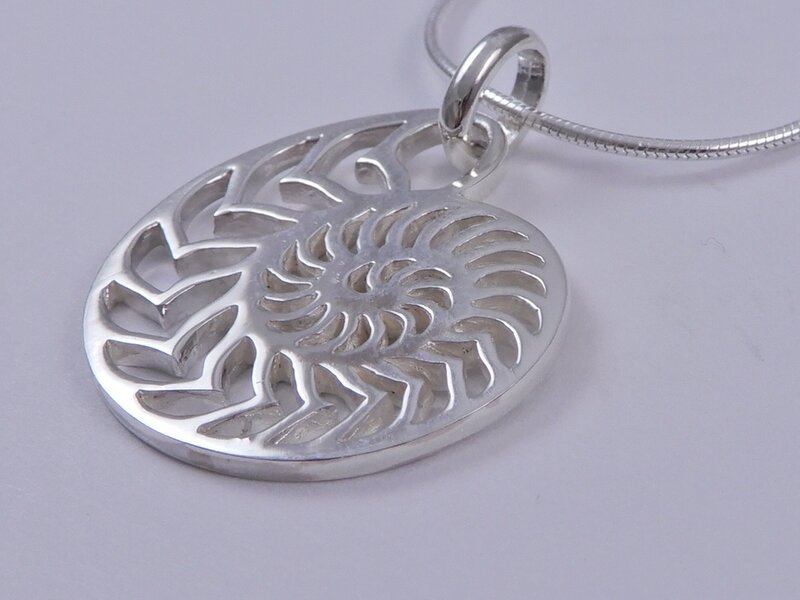 I design, make and source high quality but affordable silver jewellery for women. 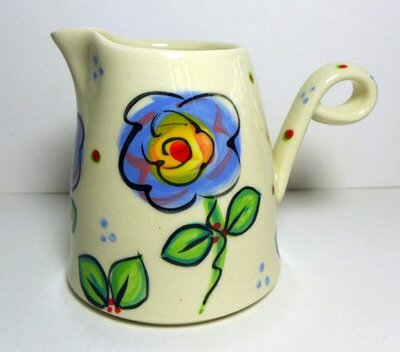 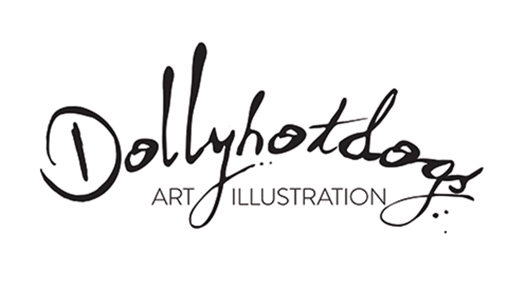 The designs made by myself are produced at my home in Devon, the designs I commission or source are provided and made by a small family business based in SE Asia. 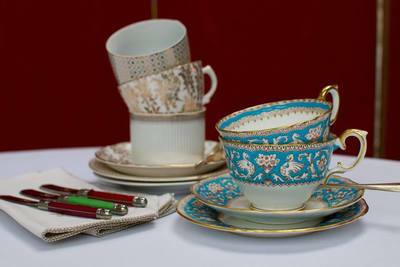 Silver and Sand have exhibited at several food and drink festivals in the south west and have found that their products have been well received and very popular. 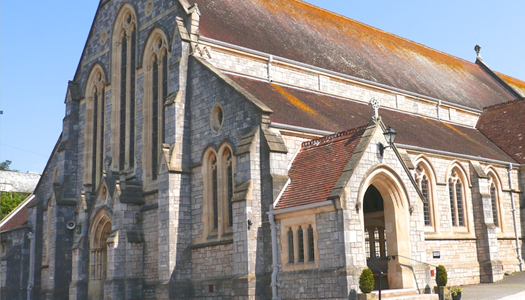 Sidmouth is within East Devon on the Jurassic Coast and has some wonderful scenic walking, both coastal and inland. 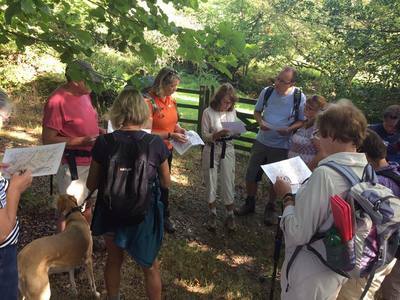 The town enjoys ‘Walkers are Welcome’ status and is keen to promote the walking opportunities in the area. 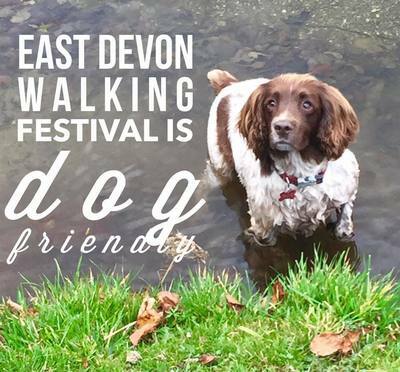 In conjunction with East Devon AONB the festival covers the East Devon Way. 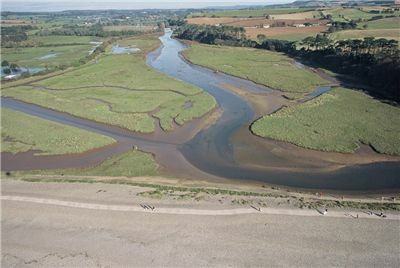 The 5 linear walks will cover the whole of the East Devon Way. Shorter circular walks will allow you to sample parts of the East Devon Way. The festival runs for 8 days and there is a choice of walks each day. 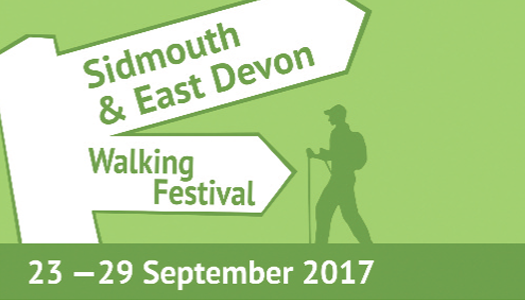 All walks are free of charge (transport to the start and end of the East Devon Way walk is chargeable) but numbers are limited and walks must be booked in advance through the Sidmouth Tourist Ofﬁce. 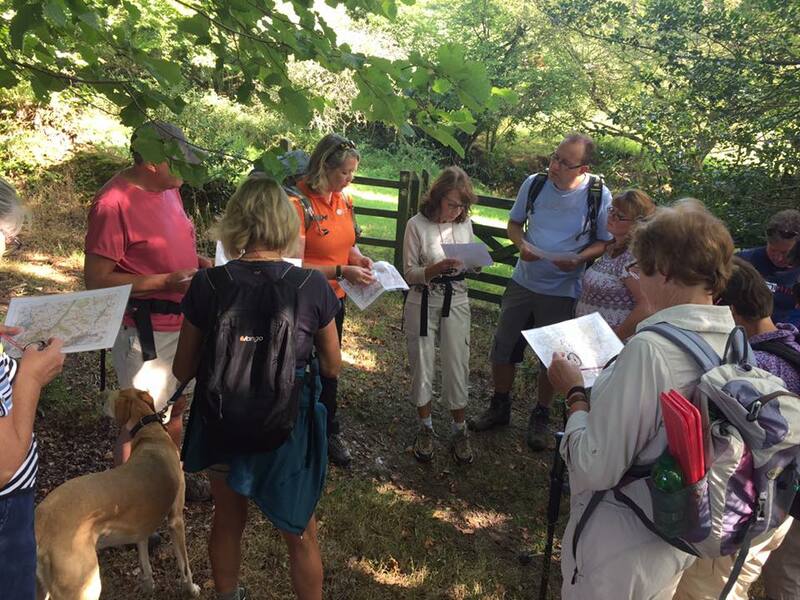 All the walks are led by experienced local walkers who enjoy sharing this wonderful area with our guests. Pop along to our stand to find out more about us! 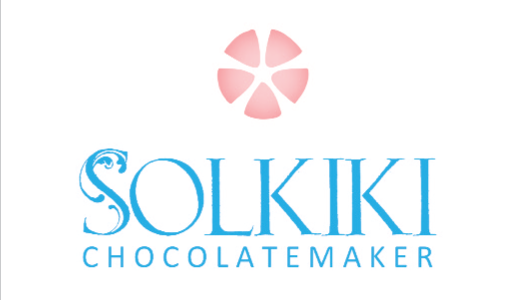 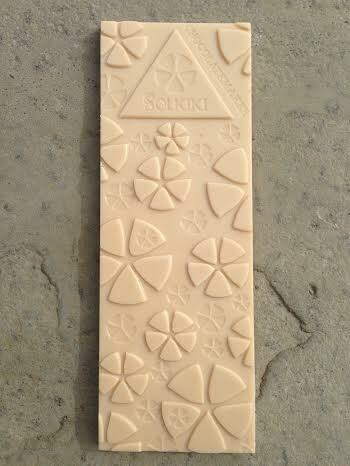 Solkiki Craft Chocolatemaker are one of the Kingdom's very few bean-to-bar chocolatemakers. 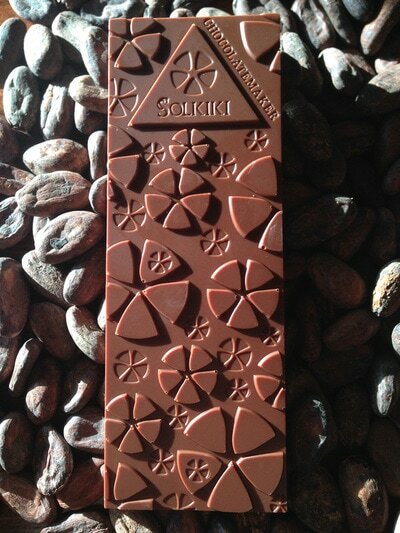 With total control over the process, they make chocolate from bean to bar using directly-traded heirloom cacao and process gently to retain very high levels of nutrition and flavour. After 8 years of secret practice, the self-taught team went professional last year and gained immediate recognition with 6 different bars winning 7 major international awards, including British Gold. 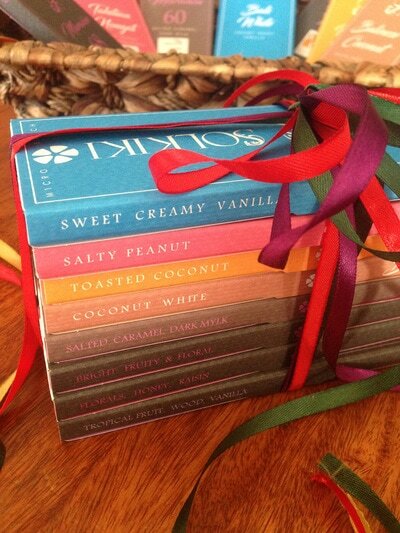 Visit the stall to learn more about real chocolate, and taste over 10 different bars! 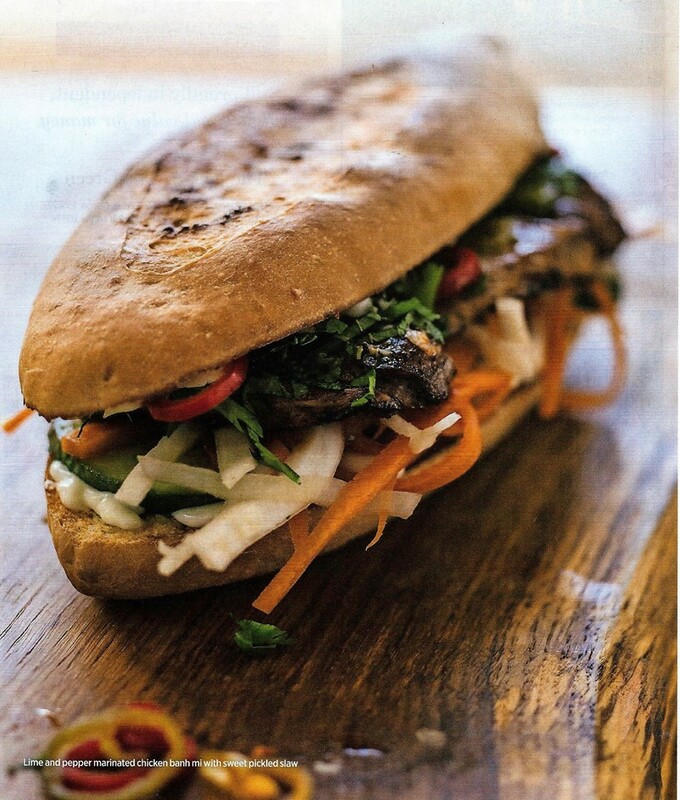 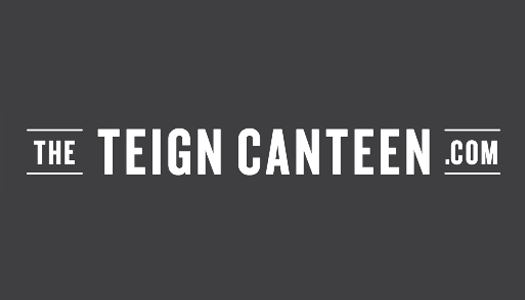 The Teign Canteen sell local meats, sourced from farms and producers in the Teign Valley and surrounding area. 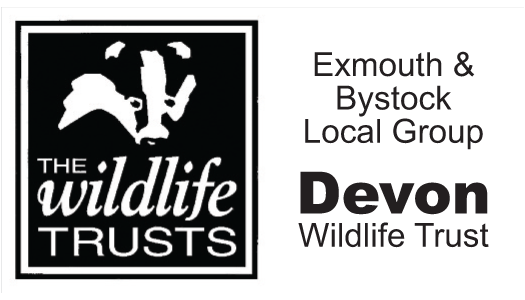 They specialise in wild Fallow Deer, shot to order by a stalker who has been controlling deer on Haldon for over 40 years. They bake all their own bread, make their own pickles, sauces and marinades. The Teign Canteen like to serve interesting menu items inspired by Daniel Edge's travels and work as a Chef at some top restaurants in the South west of England. 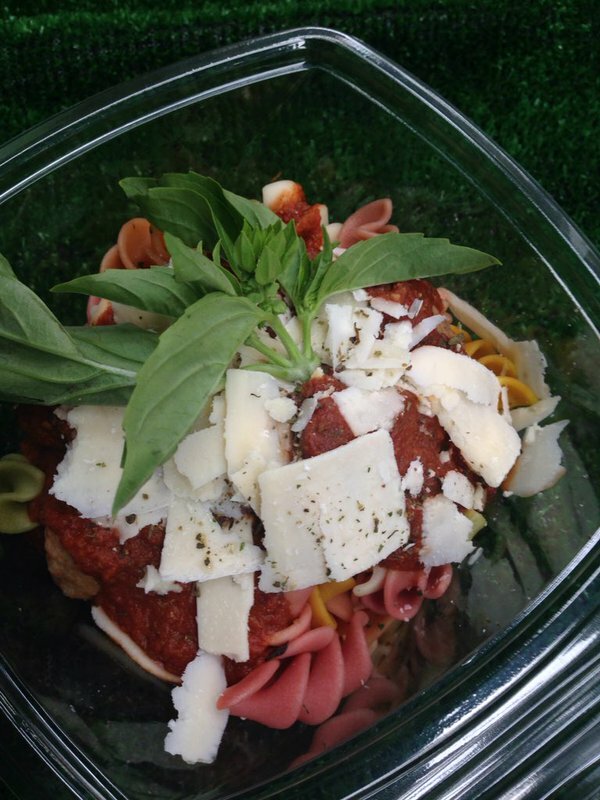 "I want to trade at the Budleigh Salterton food festival as it's a great opportunity to show case my business and cooking. 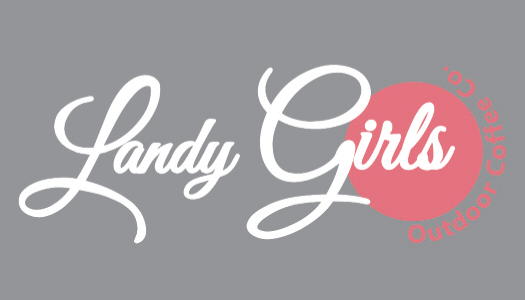 I trade locally and put great care and attention into everything I do. 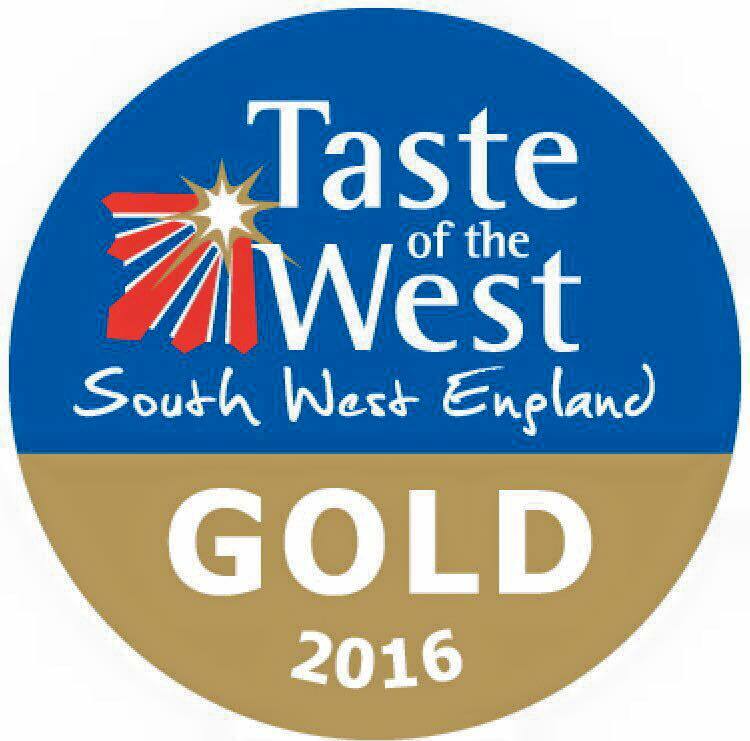 I recently won Best of the Best at the 2016 Devon street food awards at Nourish in Bovey Tracey. 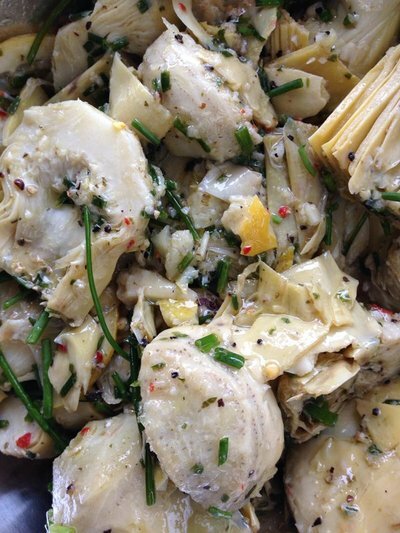 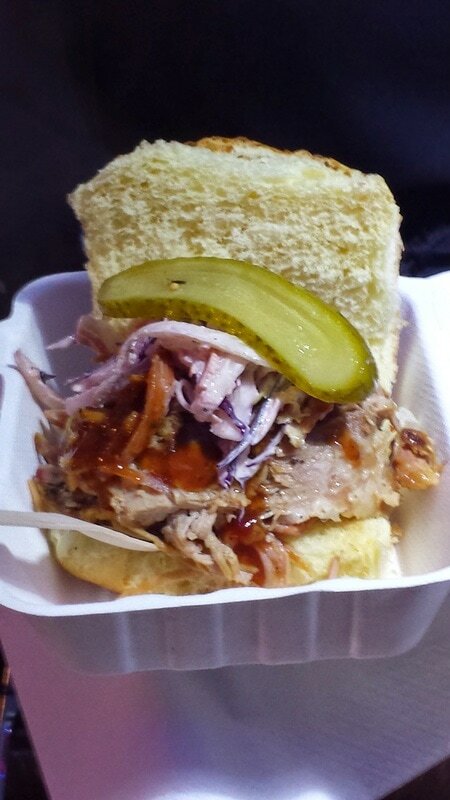 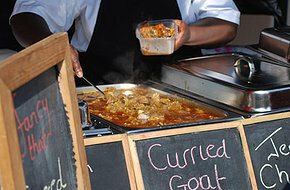 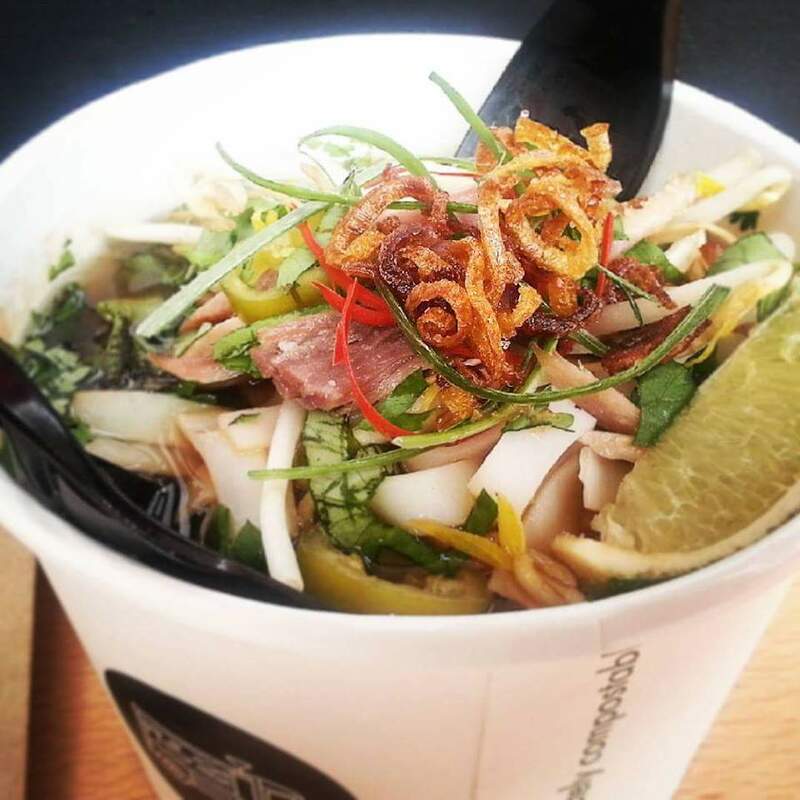 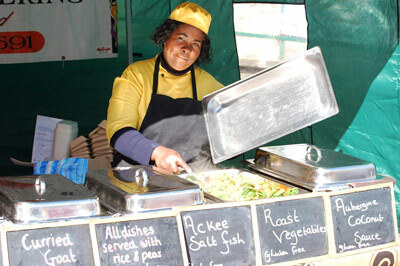 Two weeks later also won Best of the Best at the Exeter street-food awards." 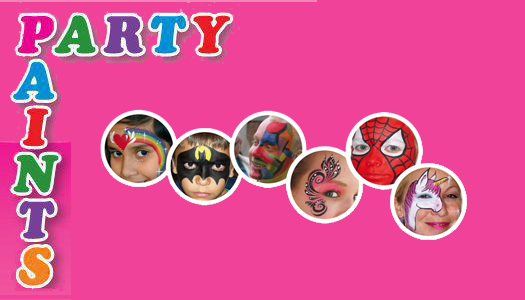 Face Painting & Glitter Tattoos. 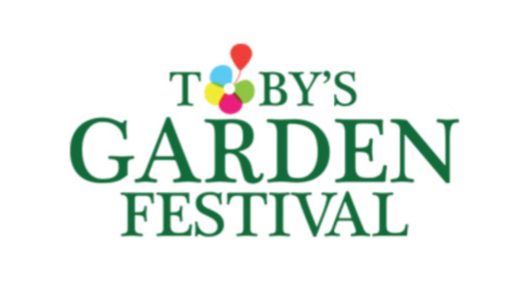 Toby's Garden Festival - Veg and seasonal bedding, plus tickets on sale for Toby Buckland's two-day celebration of gardening at Powderham Castle, Kenton, Exeter with Pippa Greenwood and Adam Frost, and more than 150 exhibitors including specialist plant nurseries, artisan crafts, live music and local food producers. 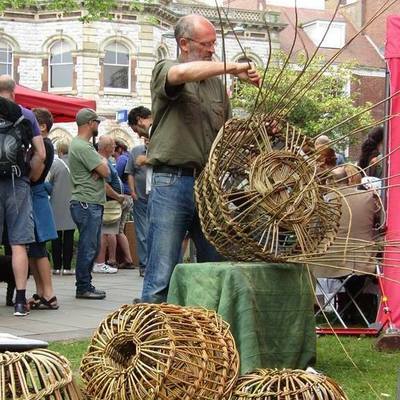 Dave French will be on home soil in Budleigh demonstrating the art of crab pot making. 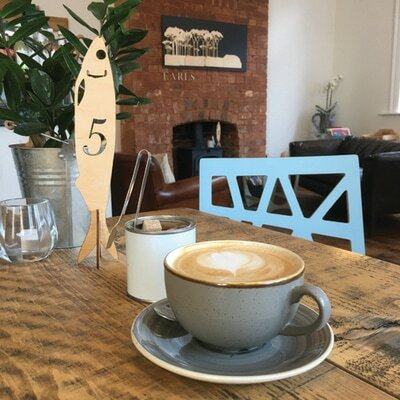 Most people in Budleigh are probably not aware of our town's past fishing history or much about the beach and how it was. 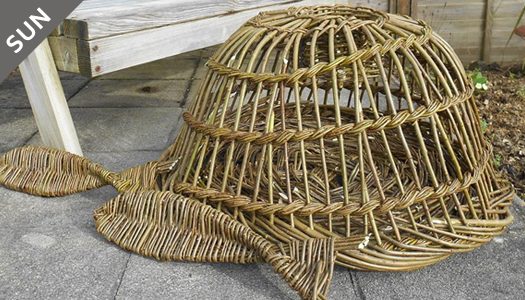 The crab pots he makes were once common place on the beach and this will be a great opportunity for visitors to see one being made the same way as it once was. 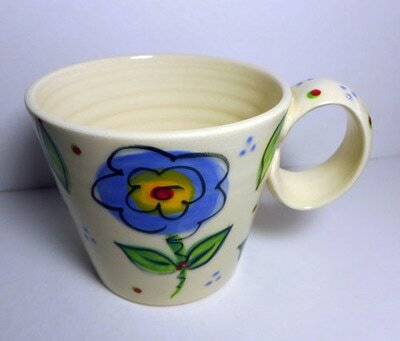 For those who don't know Dave, he is the fifth generation of his family to still be making these pots. 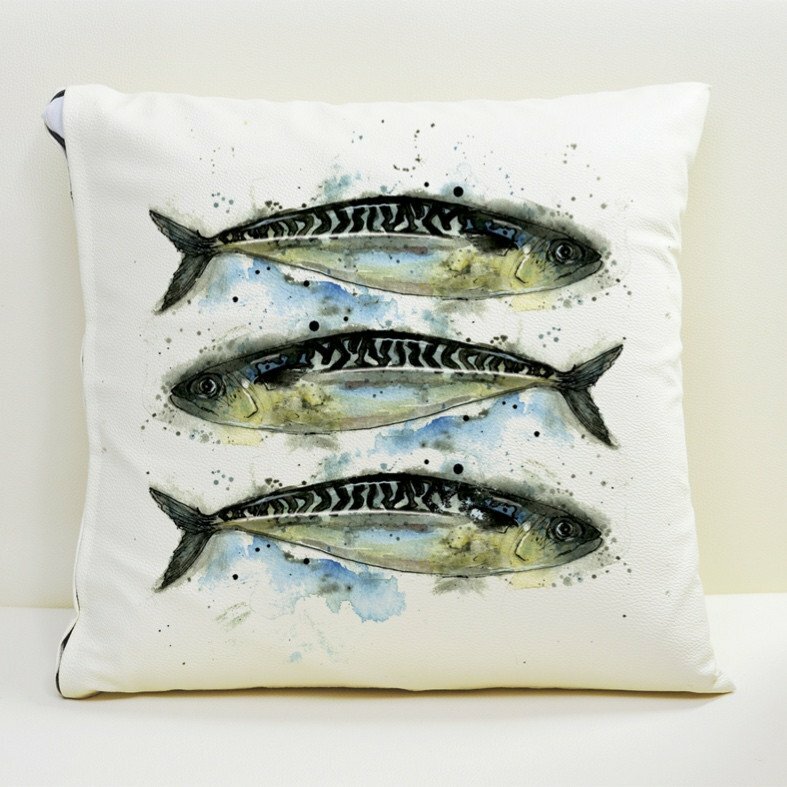 The Mears family were one of the four main family's who fished the waters off Budleigh. 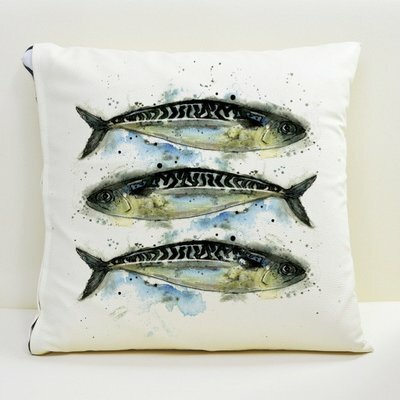 Fishing as a full time occupation has all but ceased now in this area for various reasons, but back in the day it was a very busy area, the main catches being: Herring / Mackerel / Crab / Lobster / Scallops. 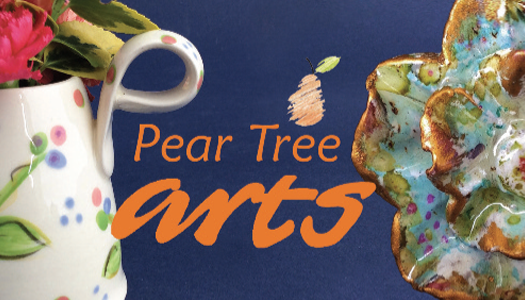 Come along on Sunday 9 April and see Dave' demonstration on The Green. 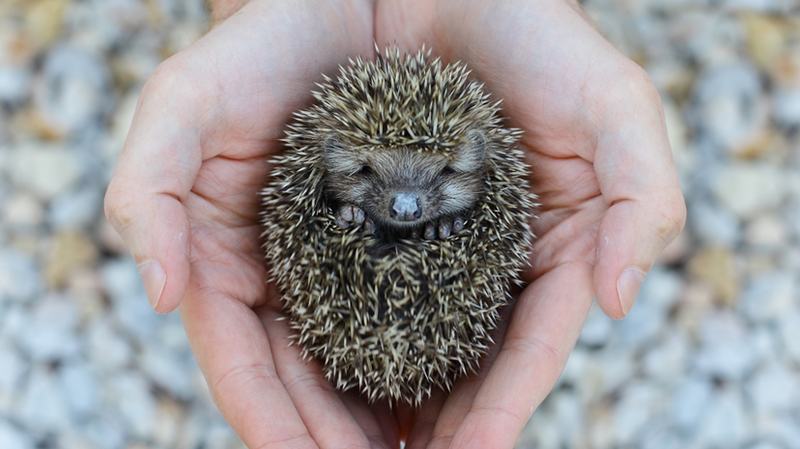 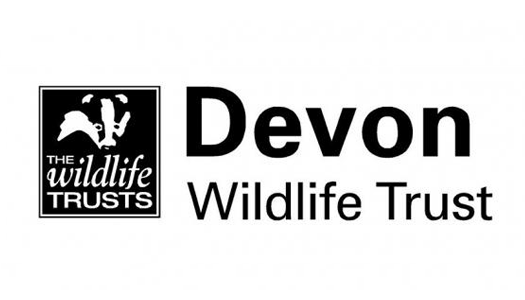 The Exmouth Local Group of Devon Wildlife Trust participates in a wide range of events throughout the year to promote the Trust and its work. 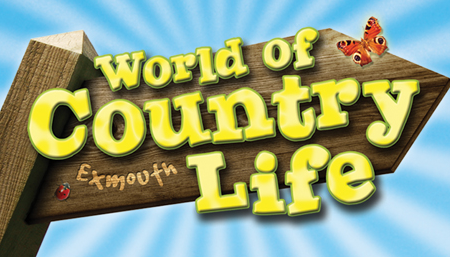 The group also organises a season of winter talks in Exmouth. 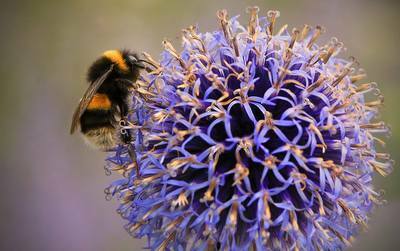 A few members of the group raise funds by selling hand made photographic greetings cards. 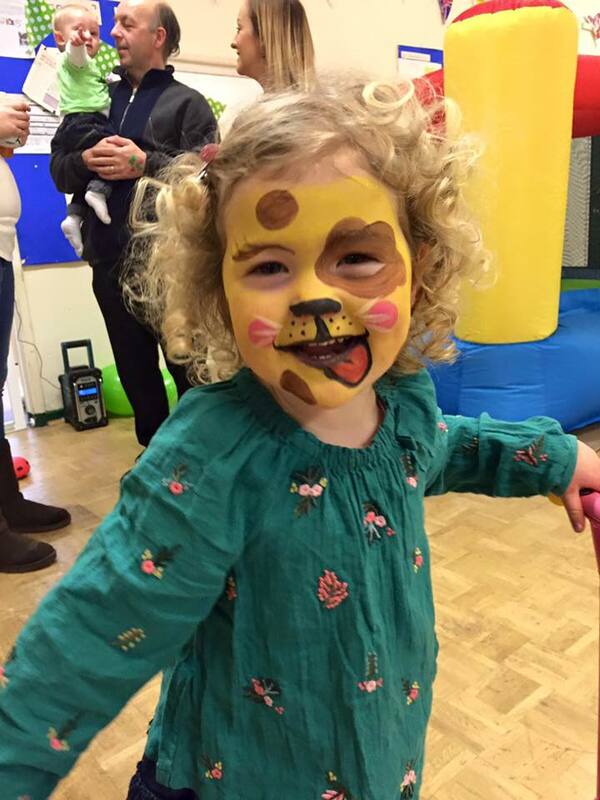 Visit our website for further information on local group activities and DLR handmade cards. 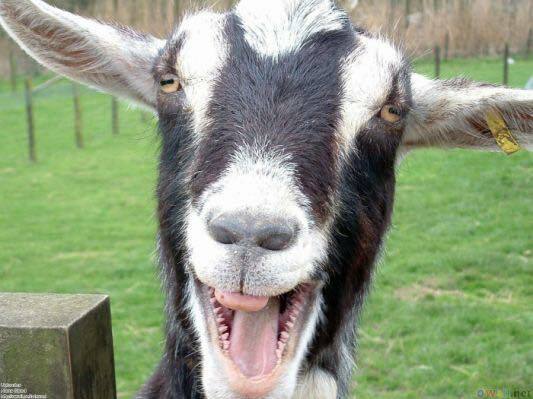 Will be bringing along their lovely goats! 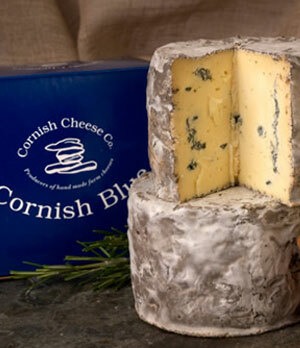 Waxed Cheddar, Cornish Blue, Cornish Gouda. 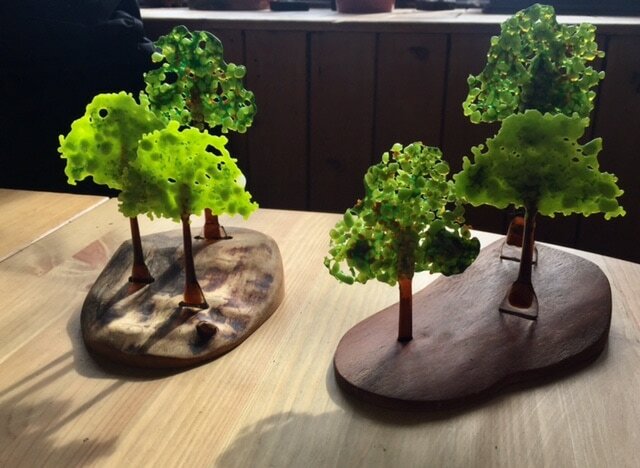 Glass is unique as a medium due to the relationship that exists between the glass and light. 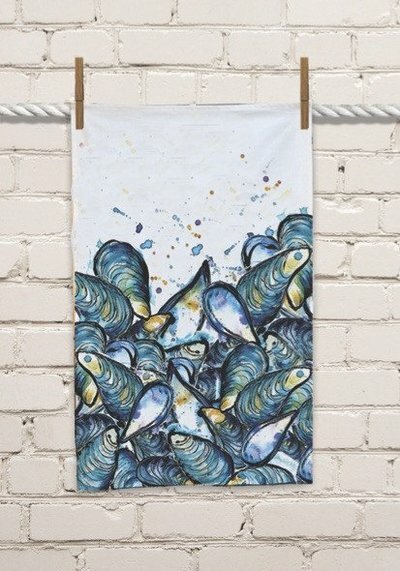 It is an extraordinary and vibrant medium to work with to create artwork that enriches personal living spaces as well as public areas. 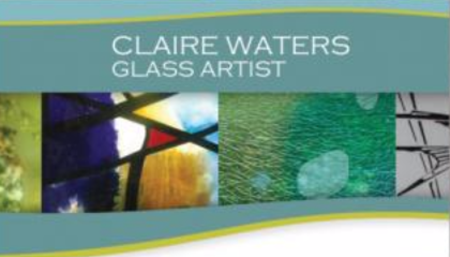 "Working from my studio in Dorset, I specialize in the design and manufacture of stained and decorative glass for domestic and public spaces, providing a complete service from design through to installation, giving individual attention at every stage to ensure complete client satisfaction." 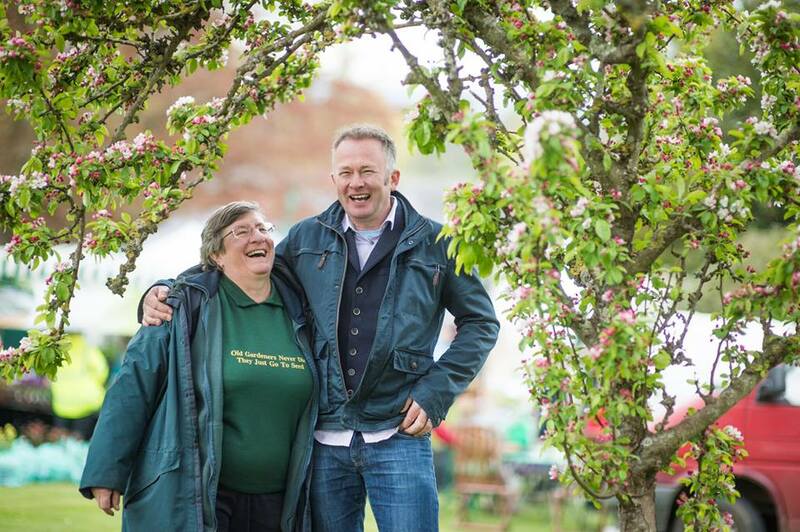 Will be joining us on The Green.